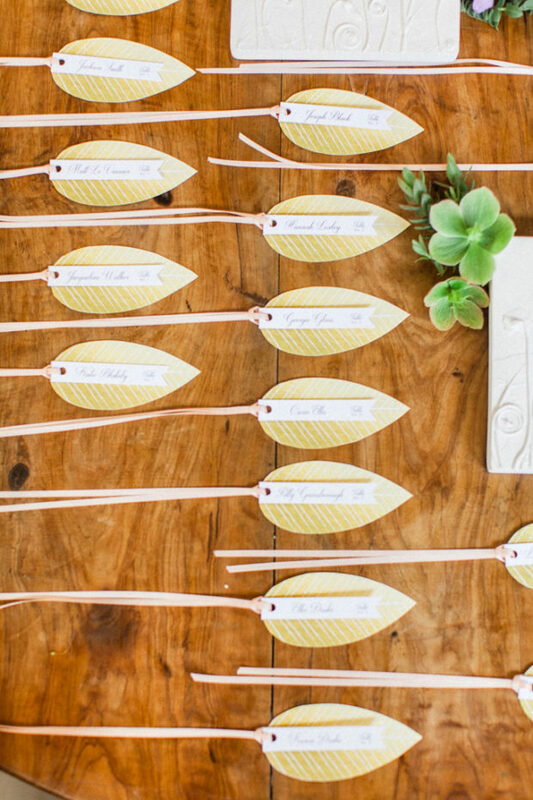 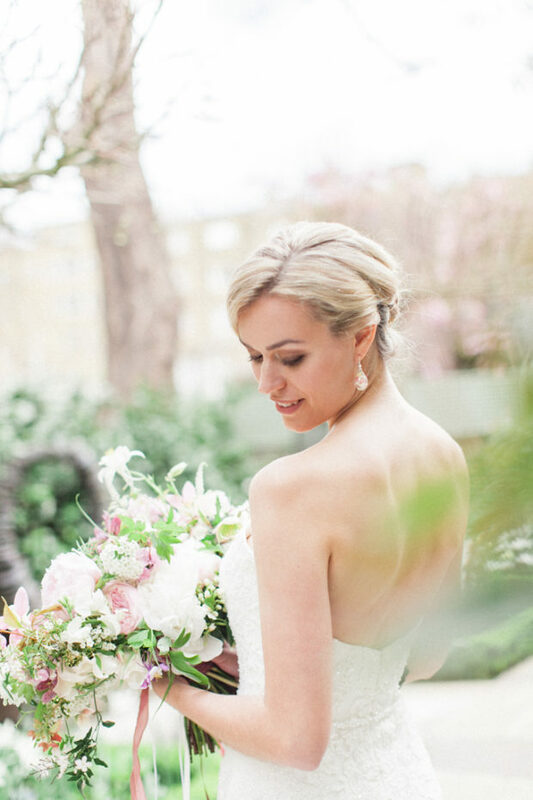 The creative genius behind this shoot was the delightful Anna at Snowdrops Weddings & Events. 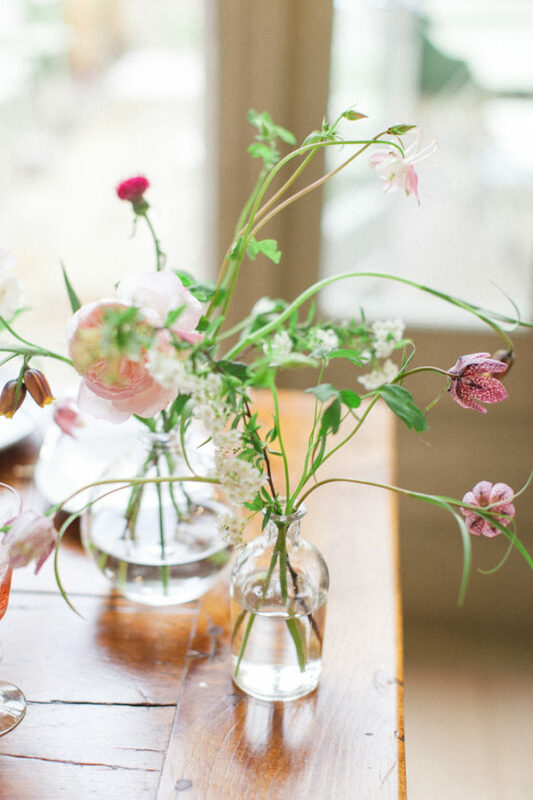 She was inspired to bring the team together after she visited an art exhibition focusing on botanical drawings of plants, seeds and flowers. 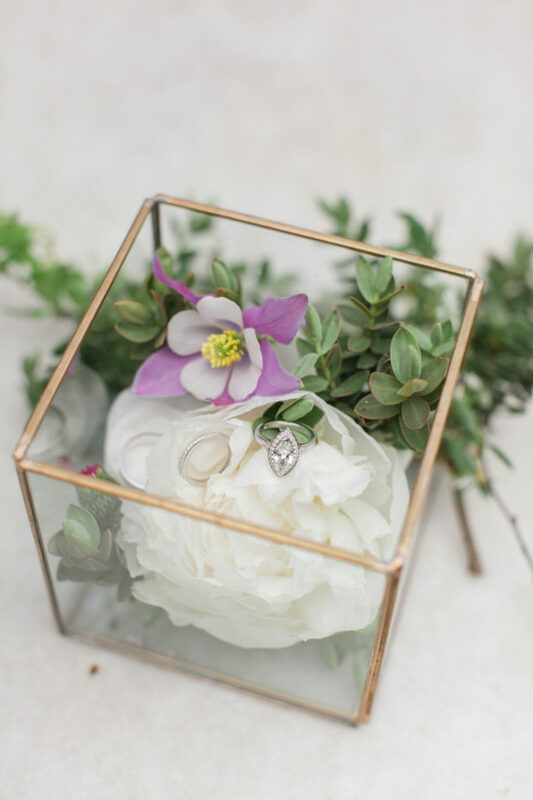 Anna brought traditional and modern elements together in a really cool interpretation of the theme. 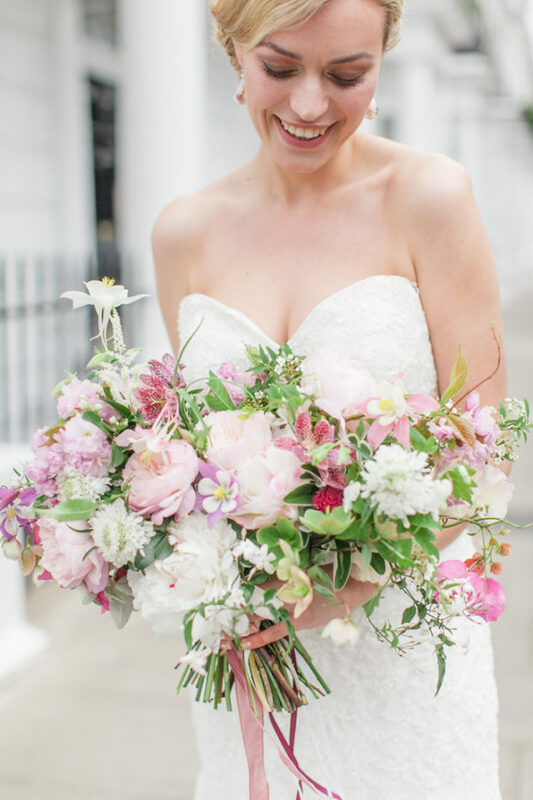 I really adored all the textures in the shoot and they were such fun to capture. 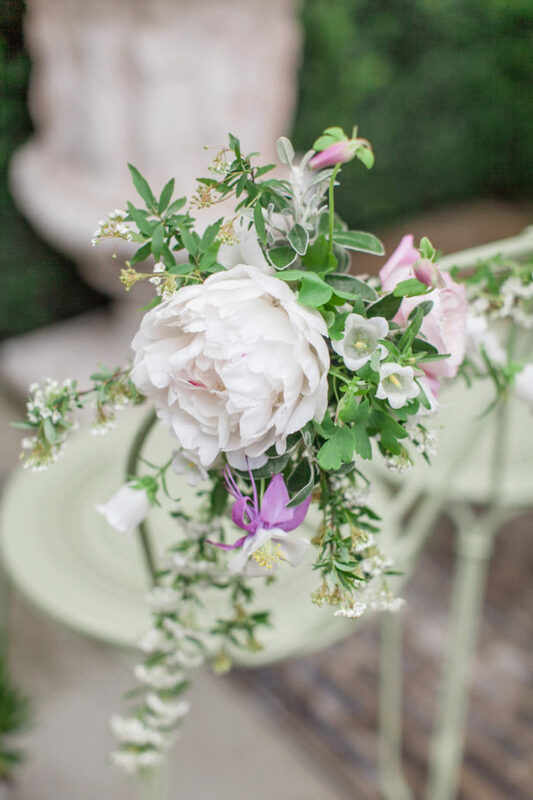 It was also a real treat to photograph a shoot that had no specific colour palette and this was a great touch because, after all, nature’s own colour palette is totally random and everything still looks gorgeous! 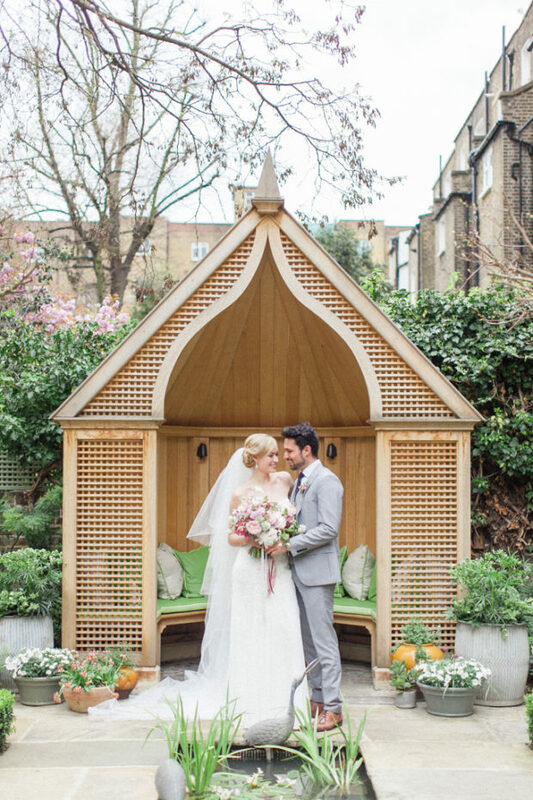 The Number 16 Hotel is a London wedding photographer’s dream. 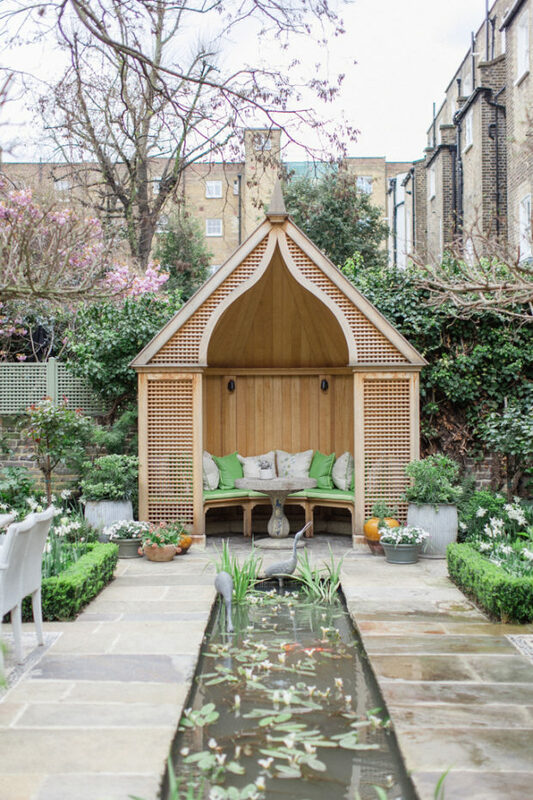 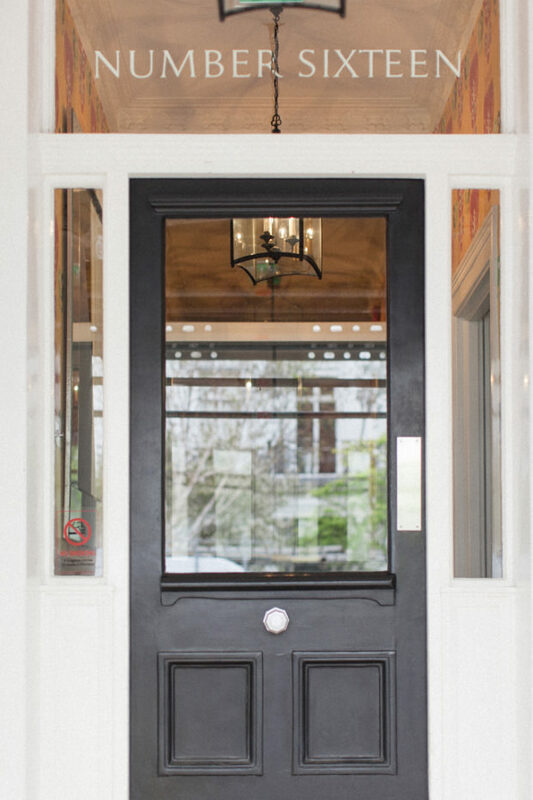 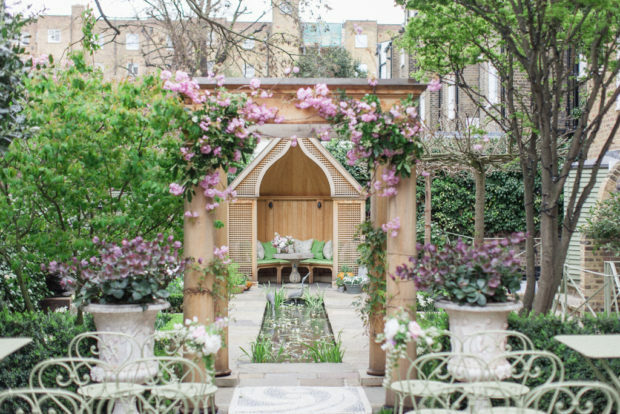 It’s a stunning Victorian building that hides a designer boutique hotel inside and a beautiful secret garden. 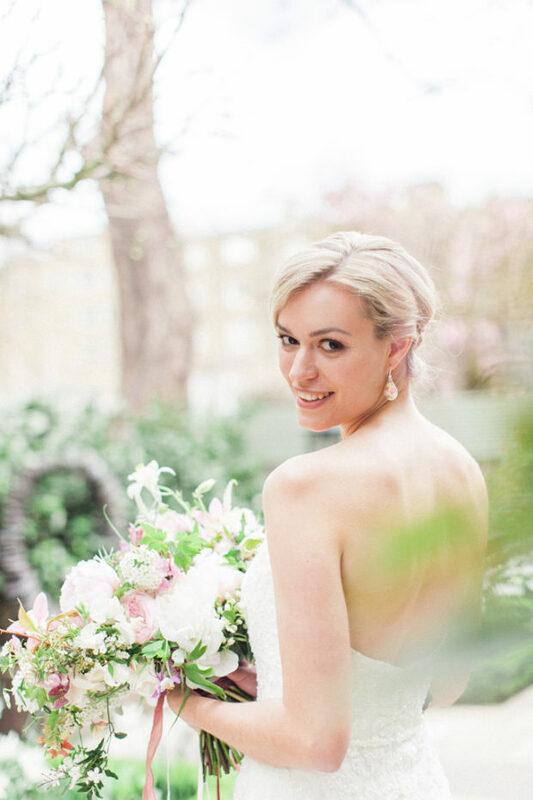 This spectacular outdoor area was heaven for me and my romantic, fine art photographic style worked perfectly in this delicious natural light. 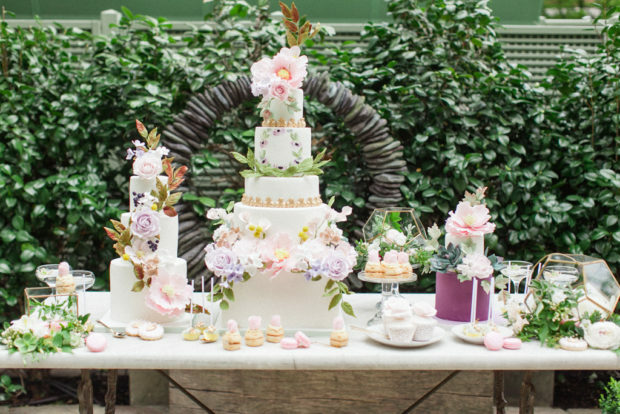 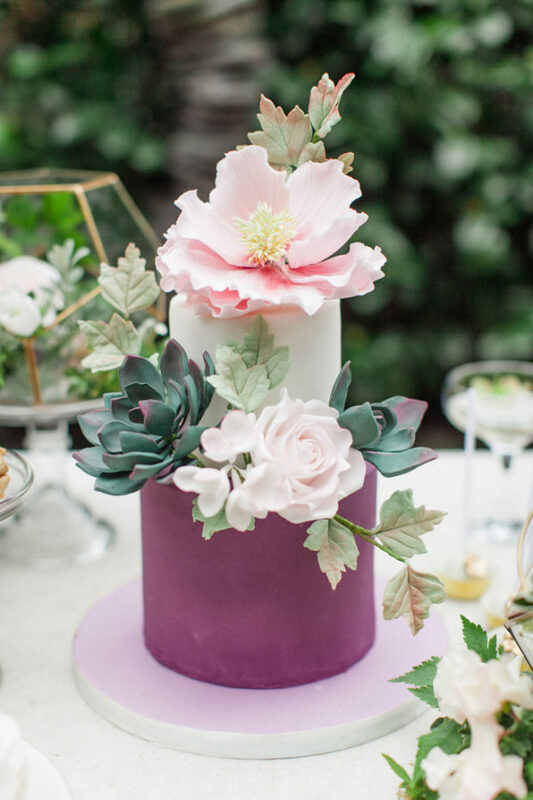 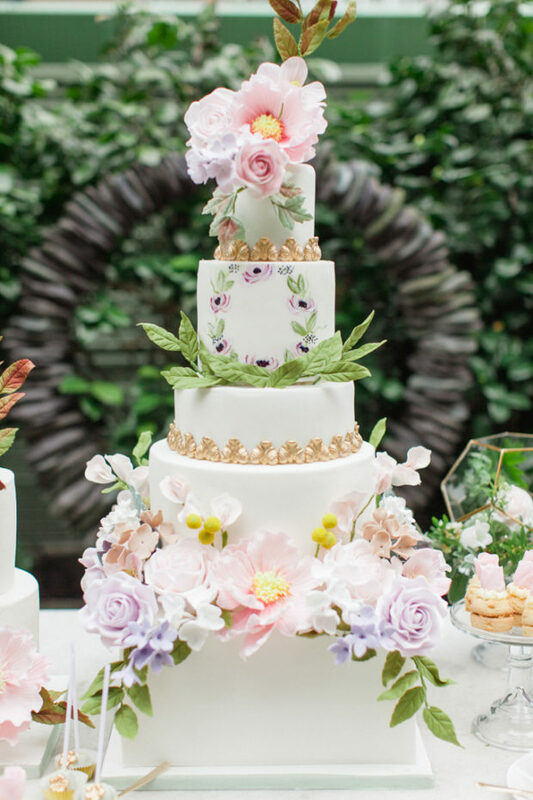 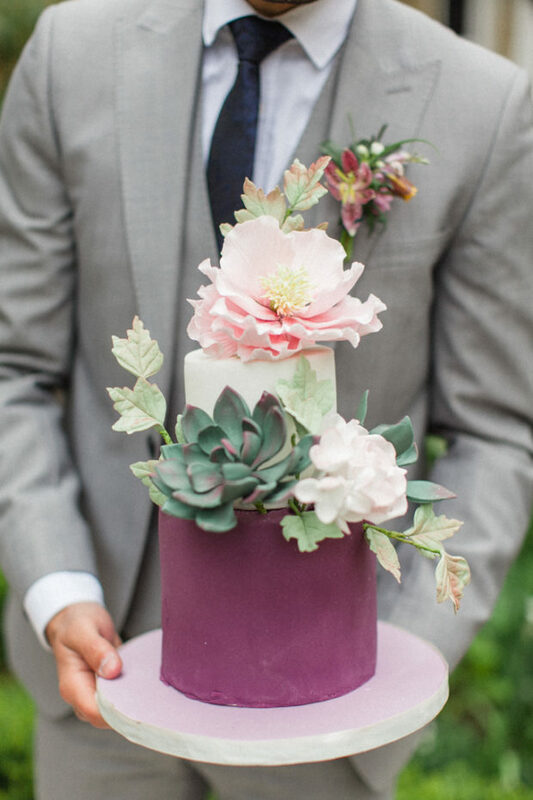 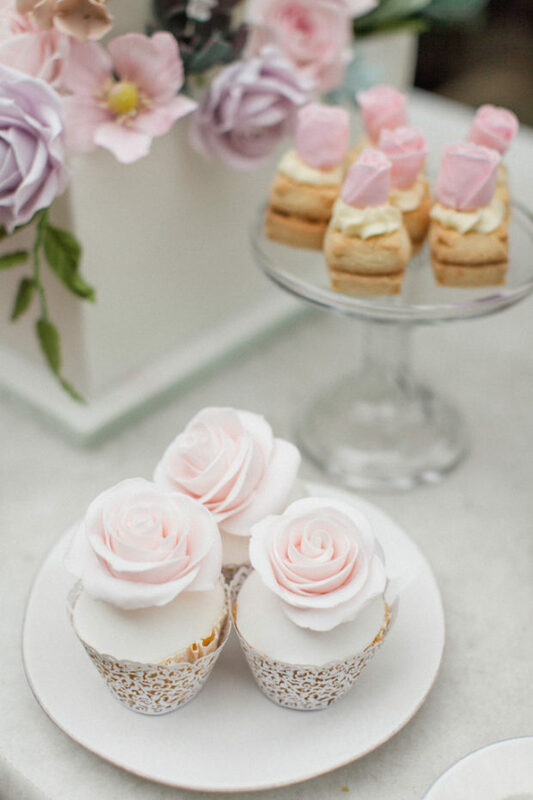 The flowers for the shoot, by Palais, were everywhere and cake table, featuring a design by Elizabeth’s Cake Emporium was simply perfect. 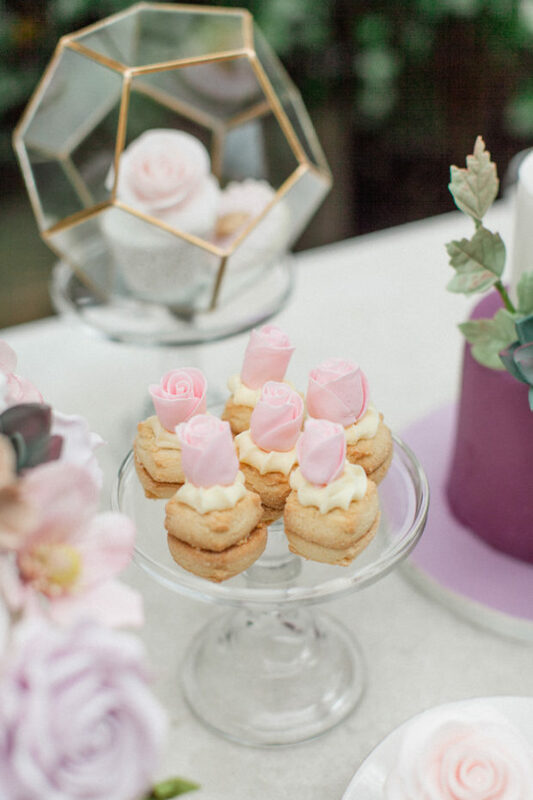 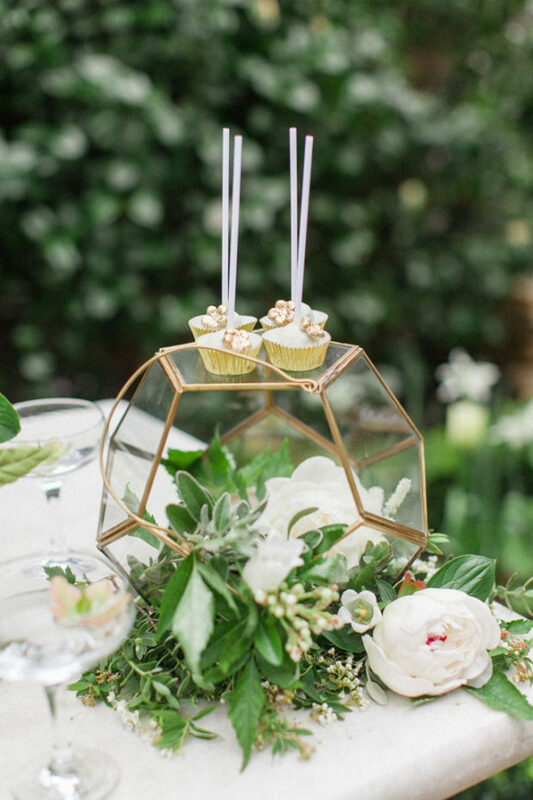 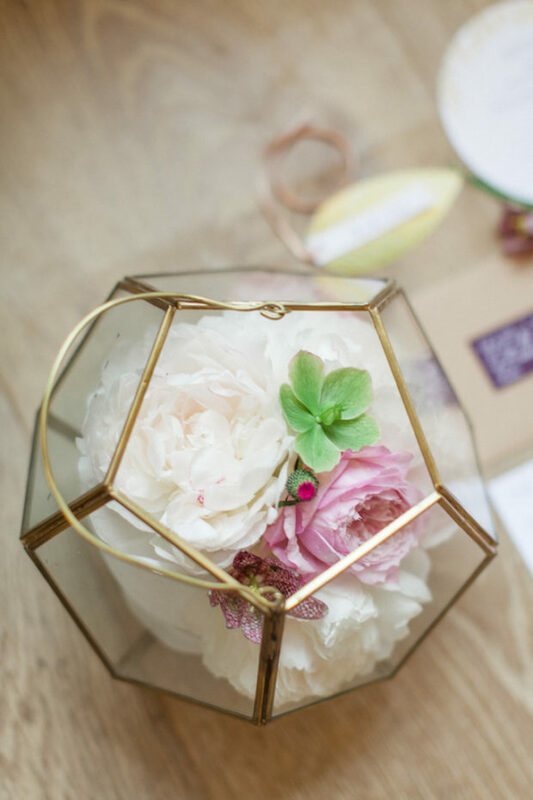 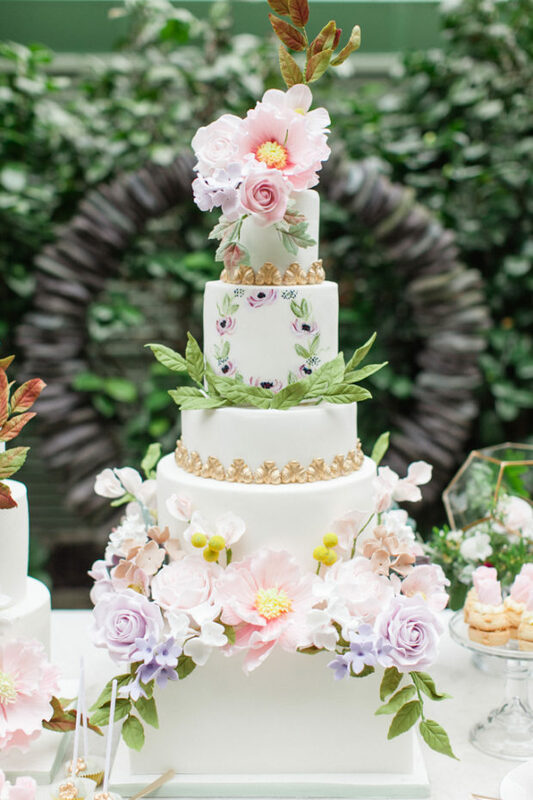 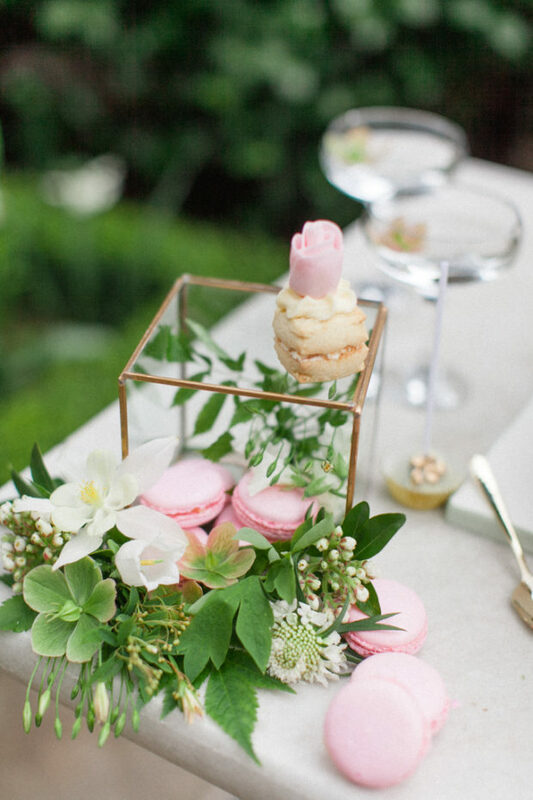 The mix of soft flowers, cakes, sweets and gold terrariums set my heart racing and would make a superb centrepiece for a wedding. 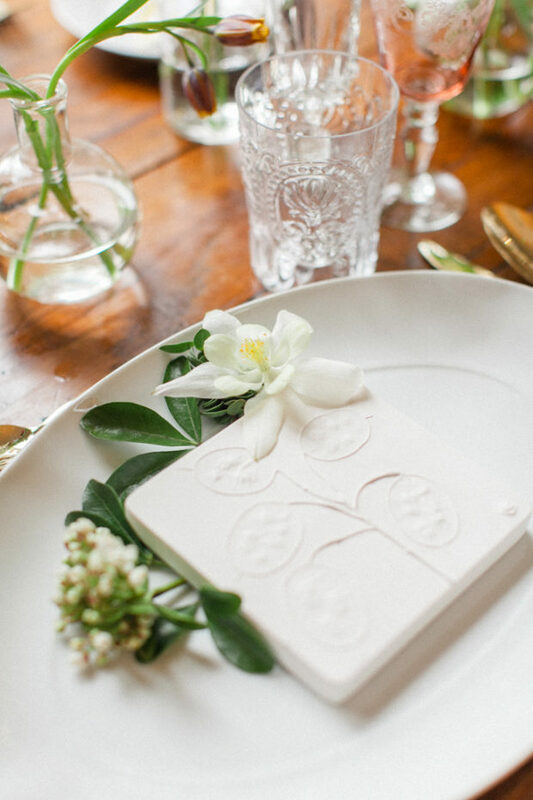 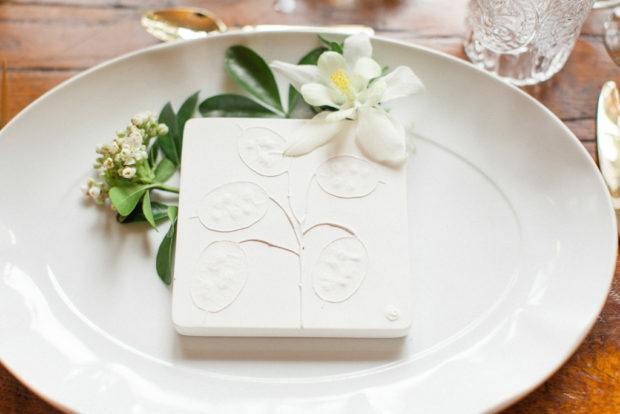 The modern stationery by Eagle Eyed Bride combined so well with the shoot and the fantastic table was accessorised with natural ceramic dished from Classic Crockery Hire and plaster tiles with floral impressions, created by a local artist, Rachel Dein of Tactile Studio. 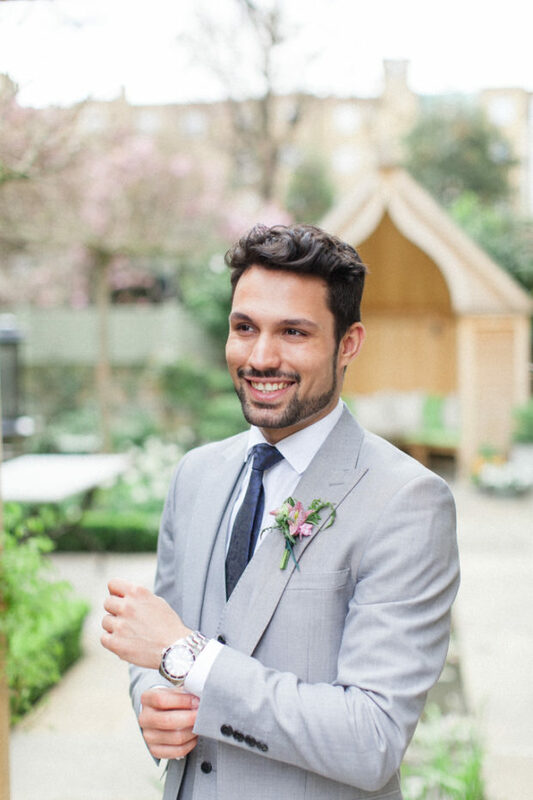 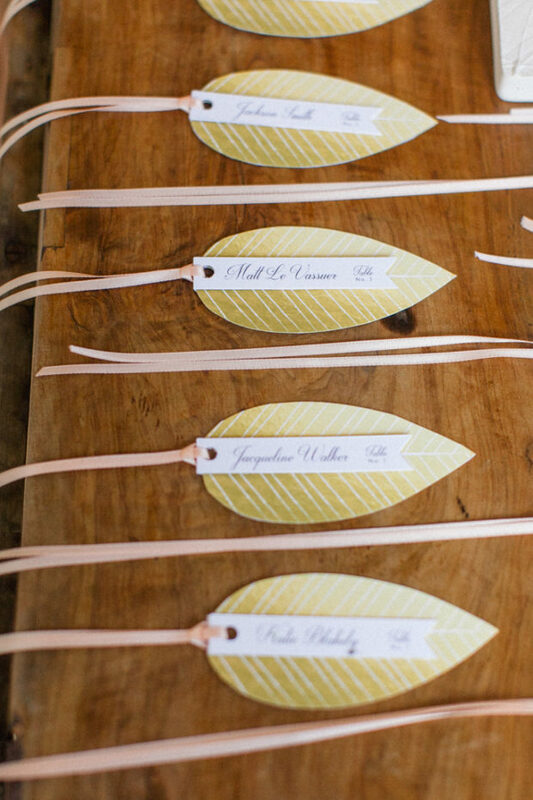 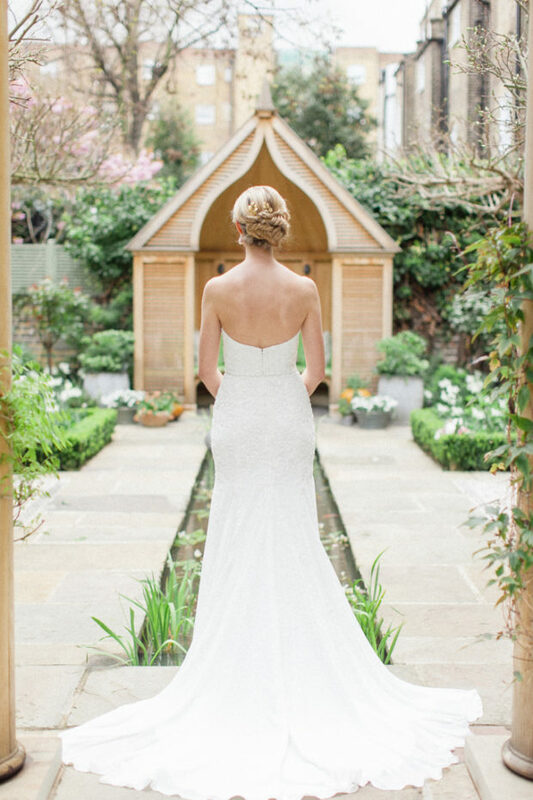 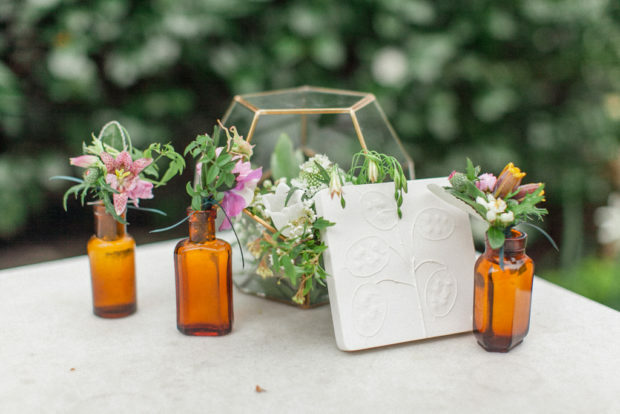 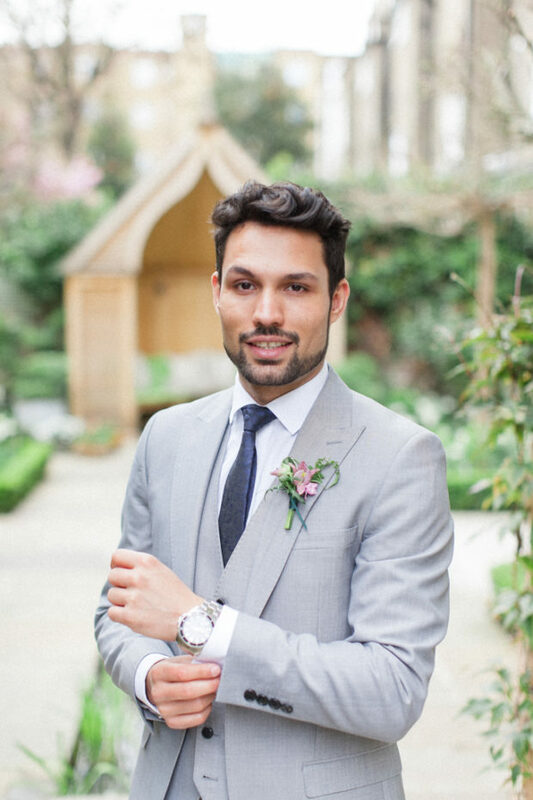 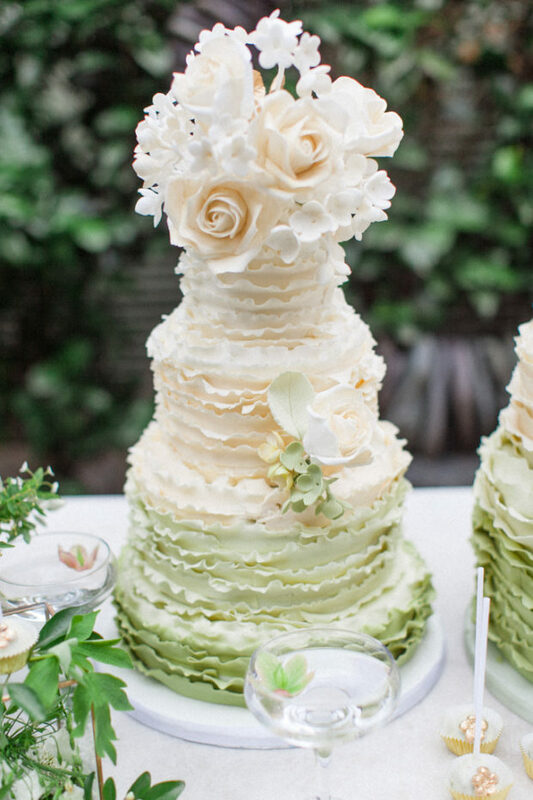 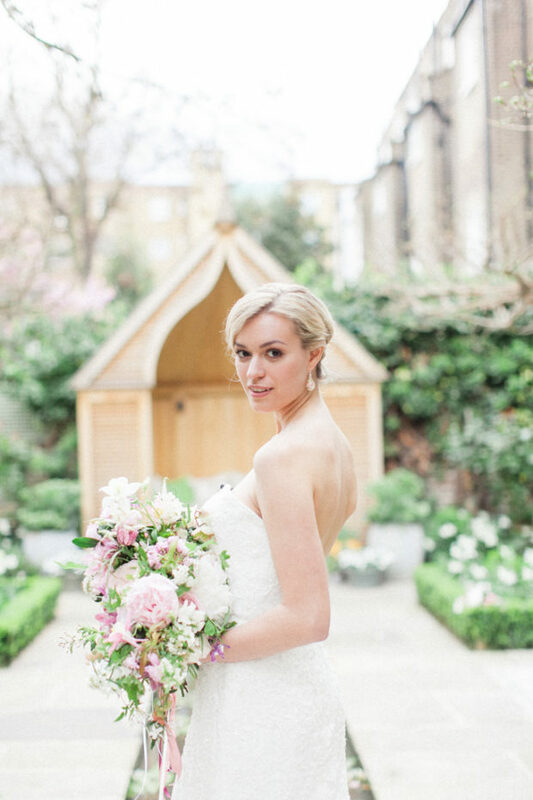 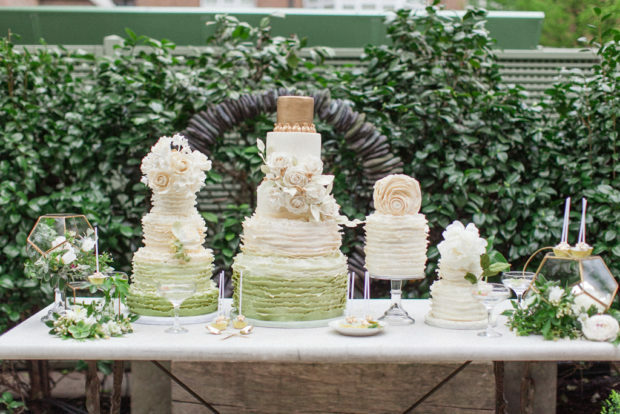 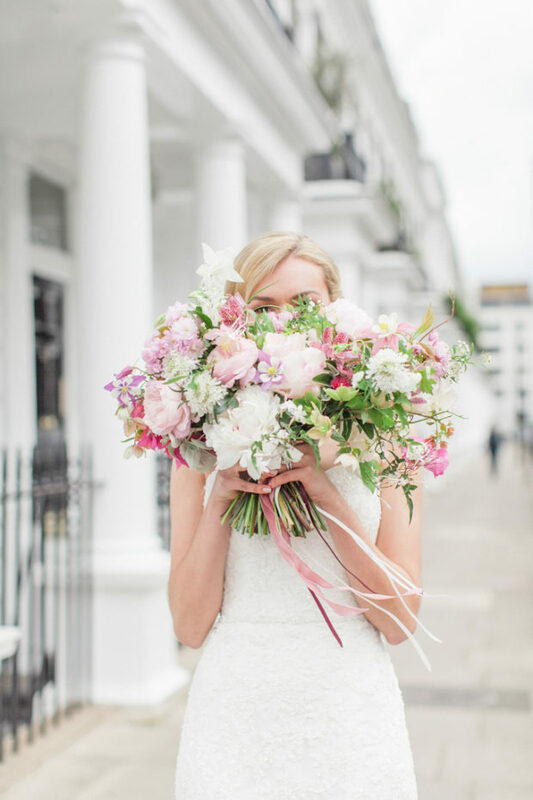 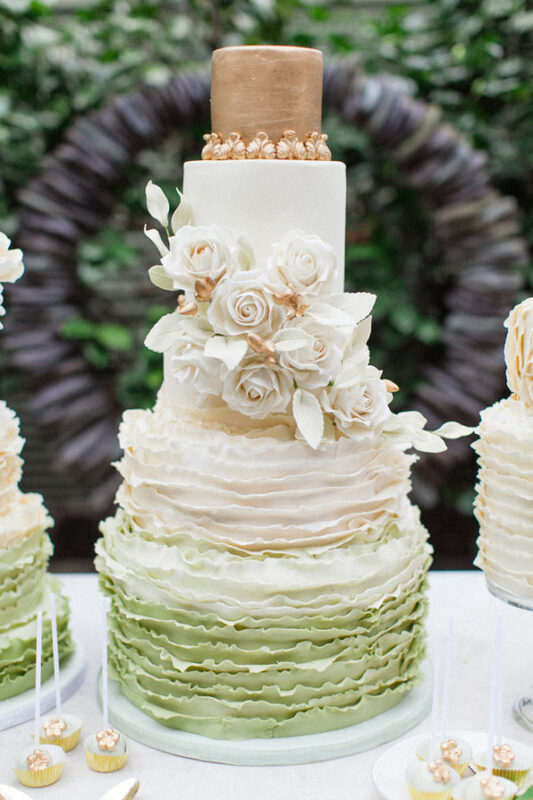 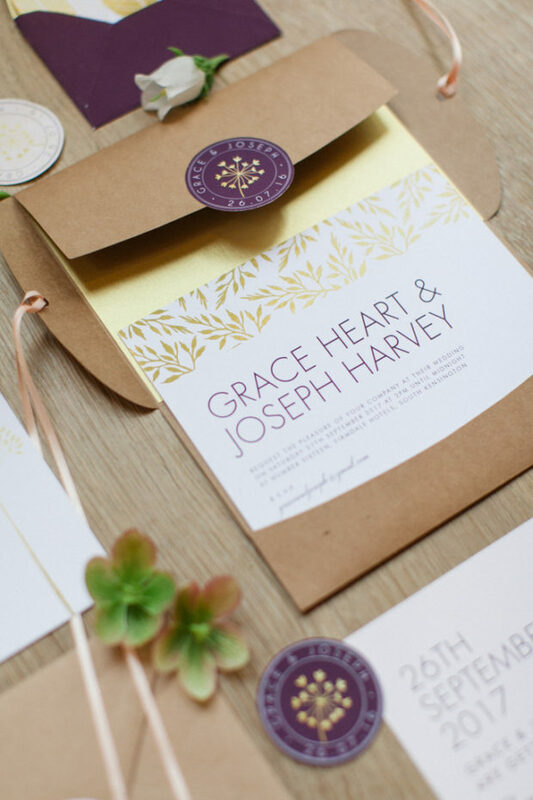 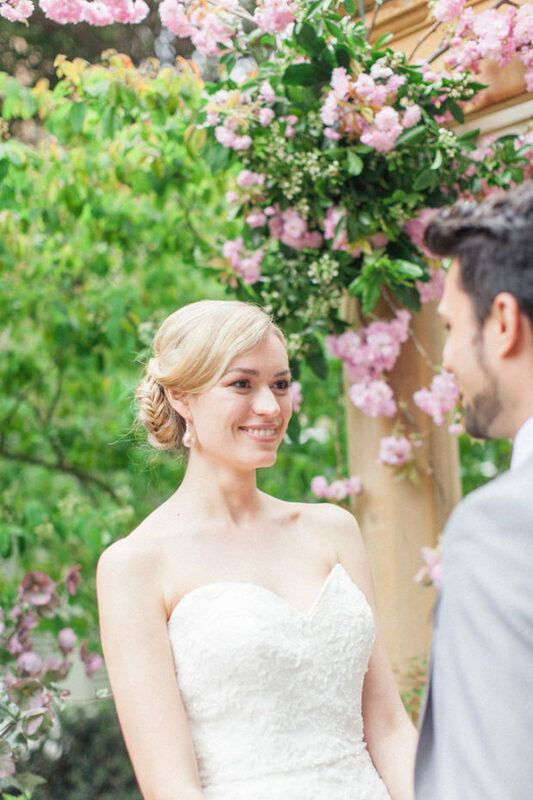 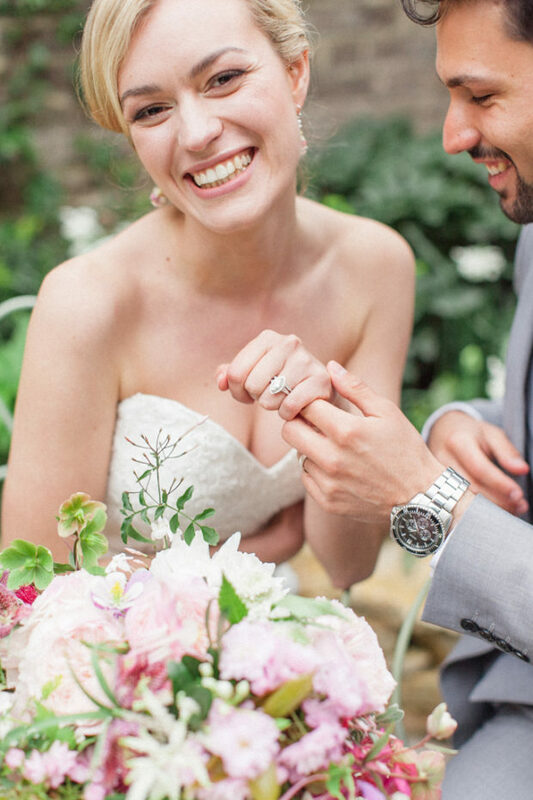 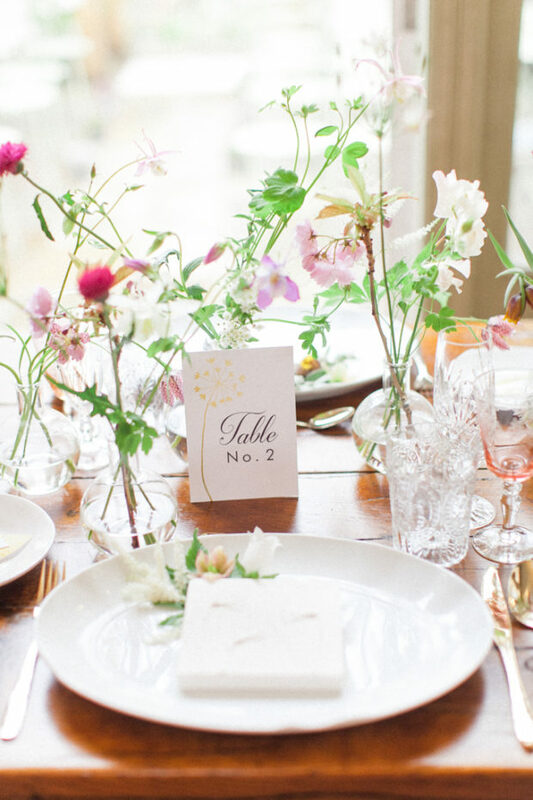 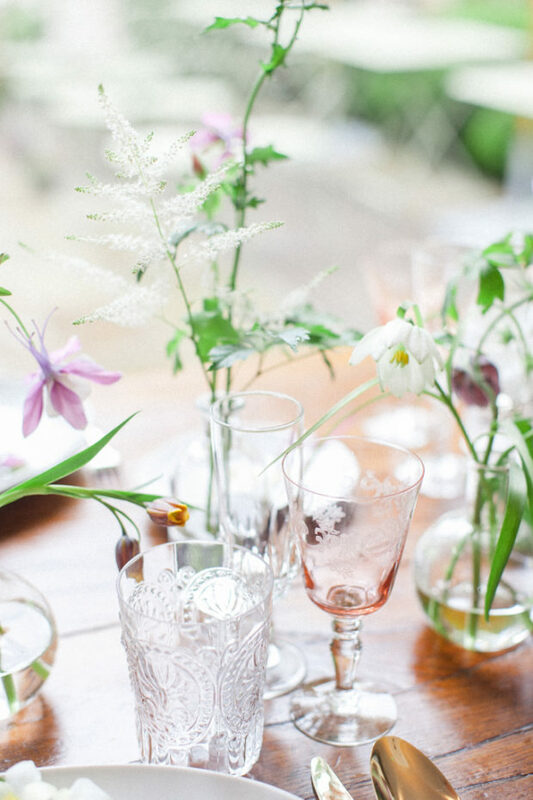 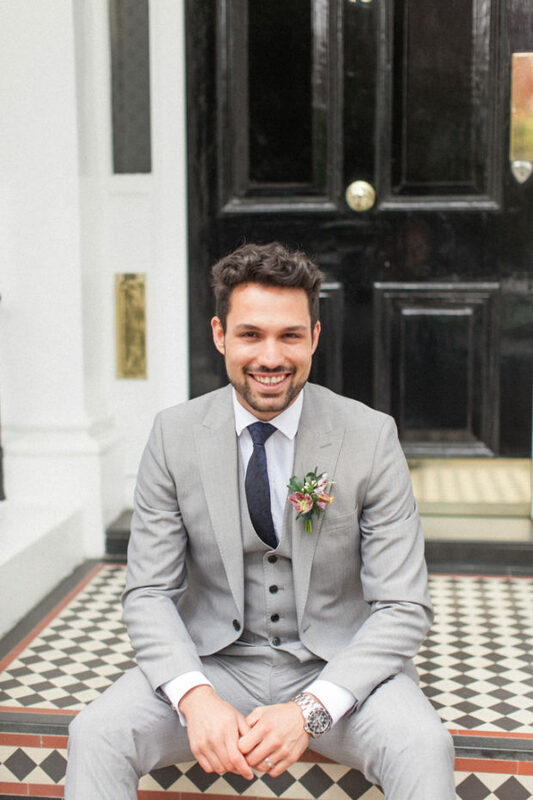 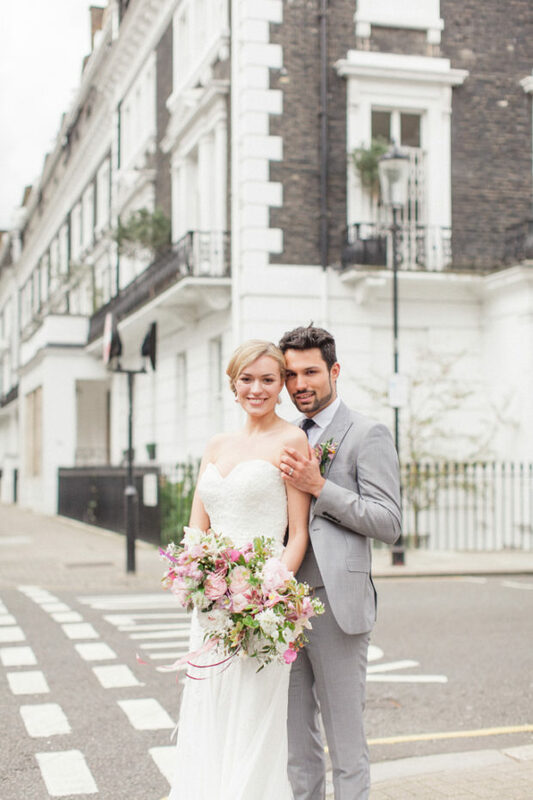 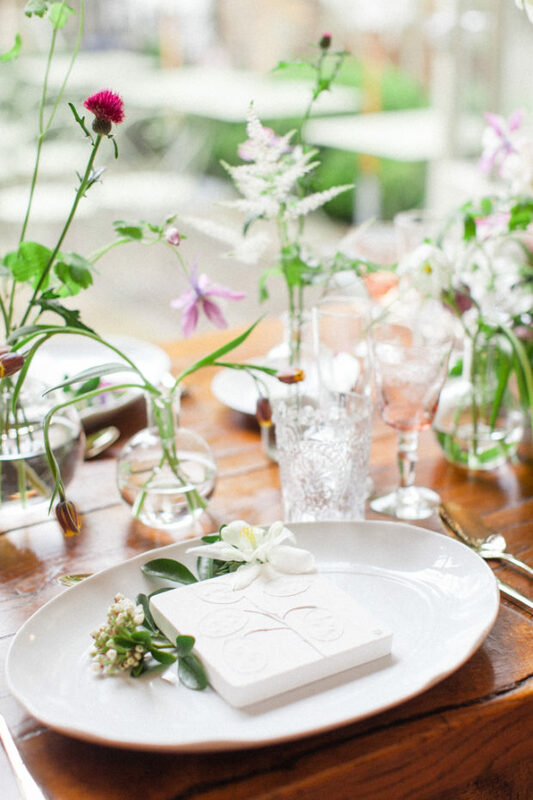 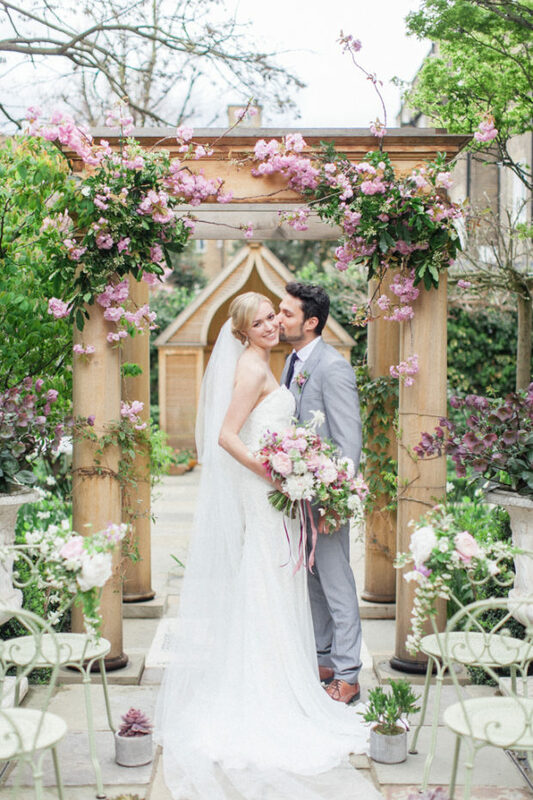 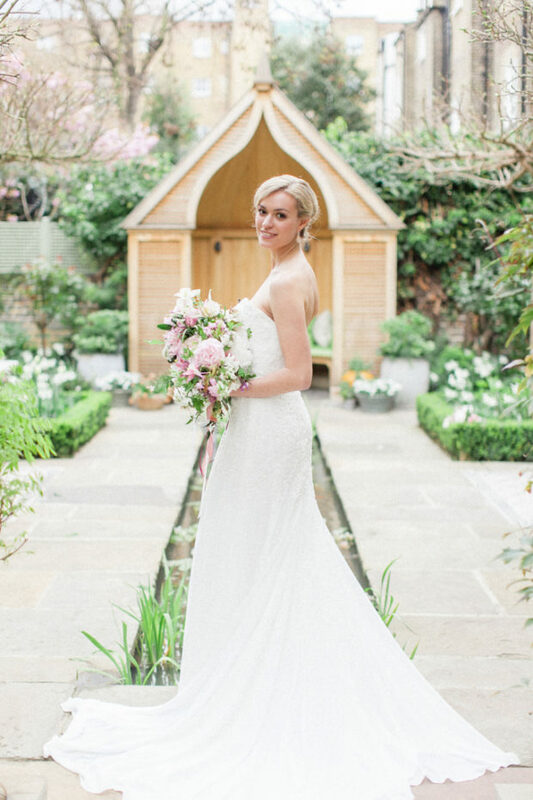 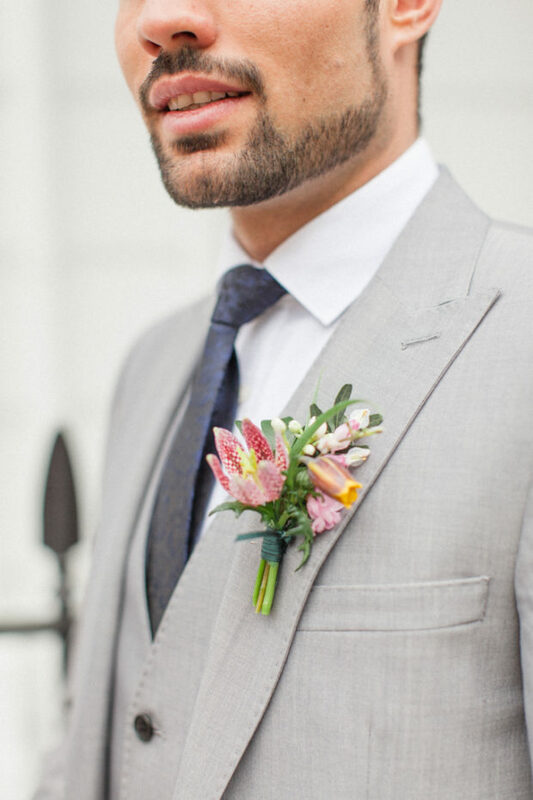 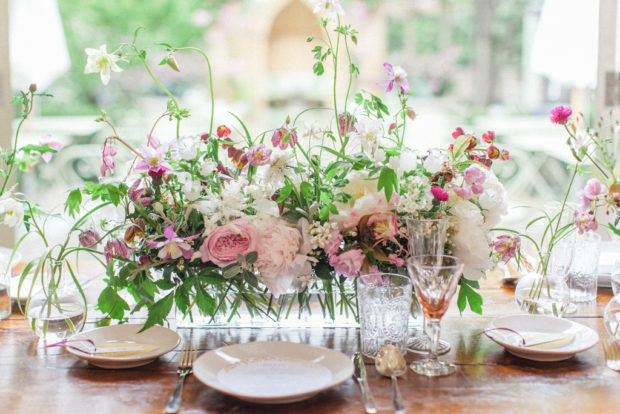 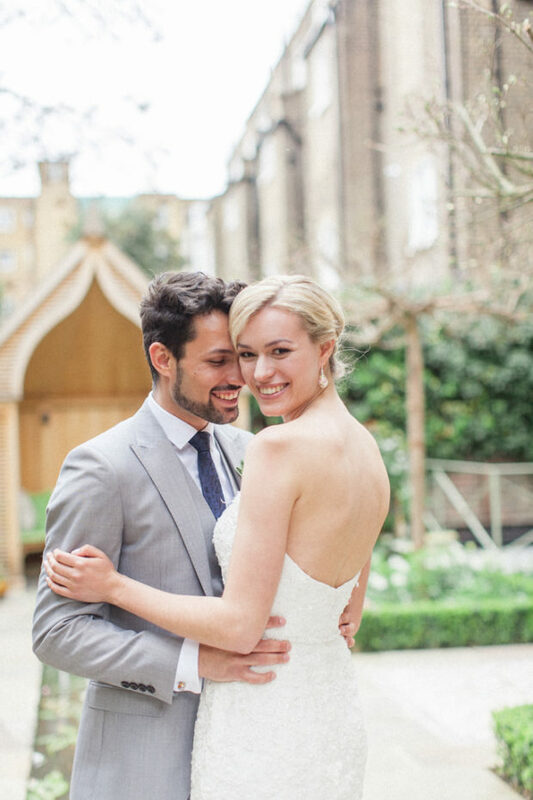 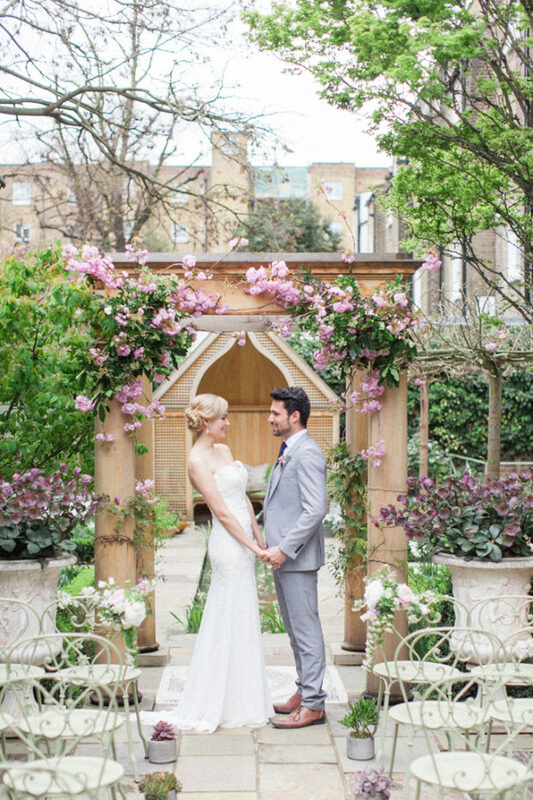 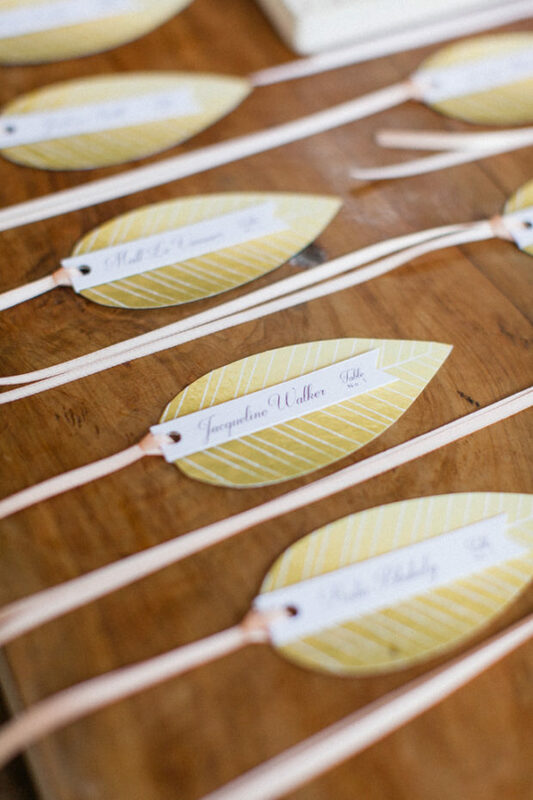 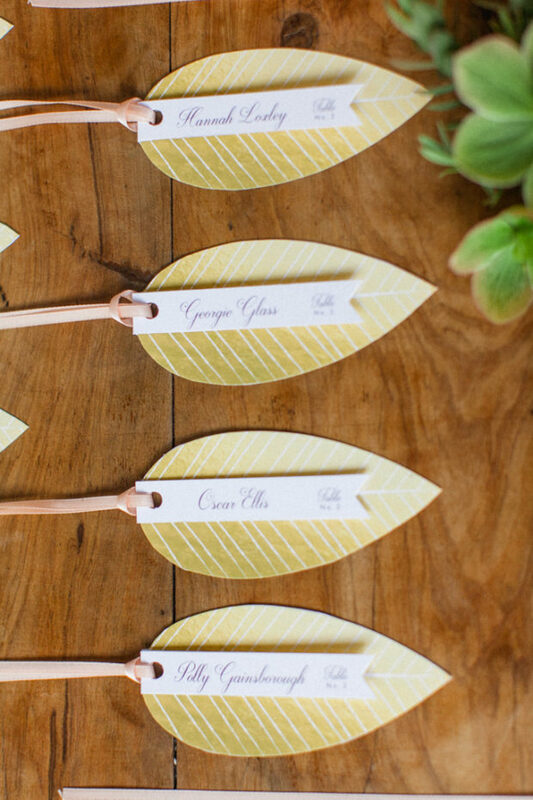 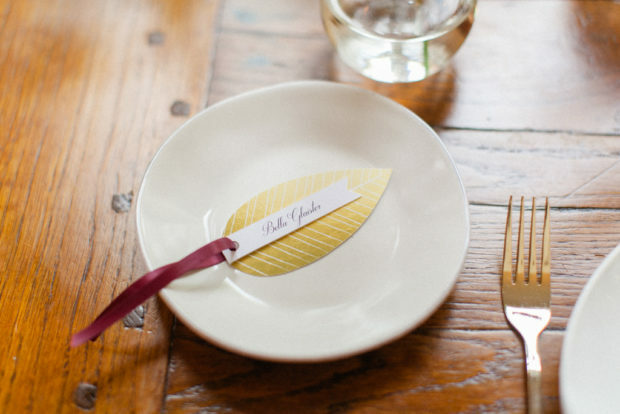 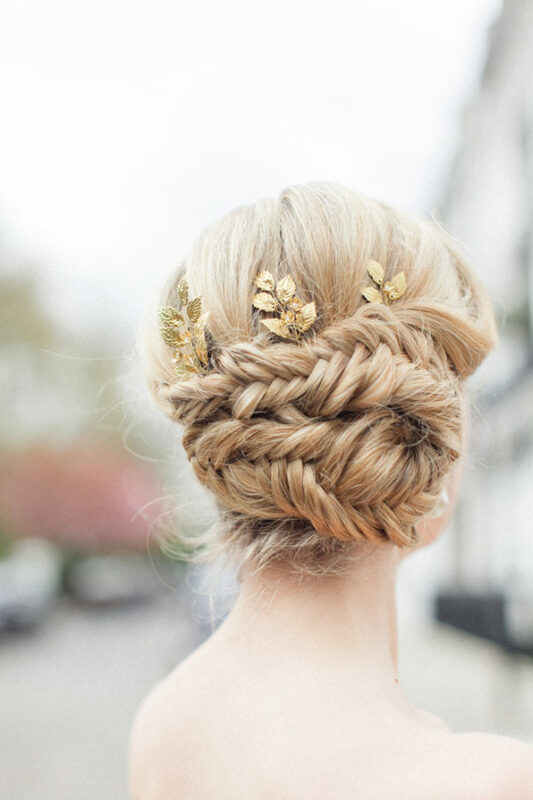 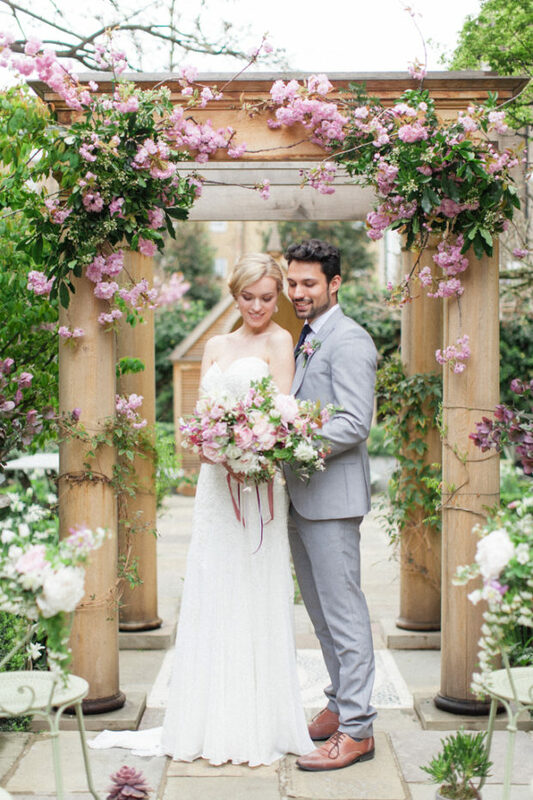 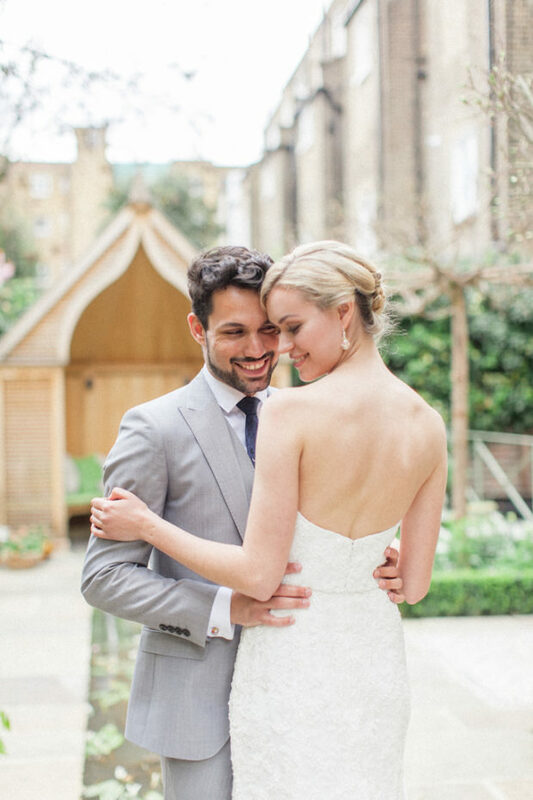 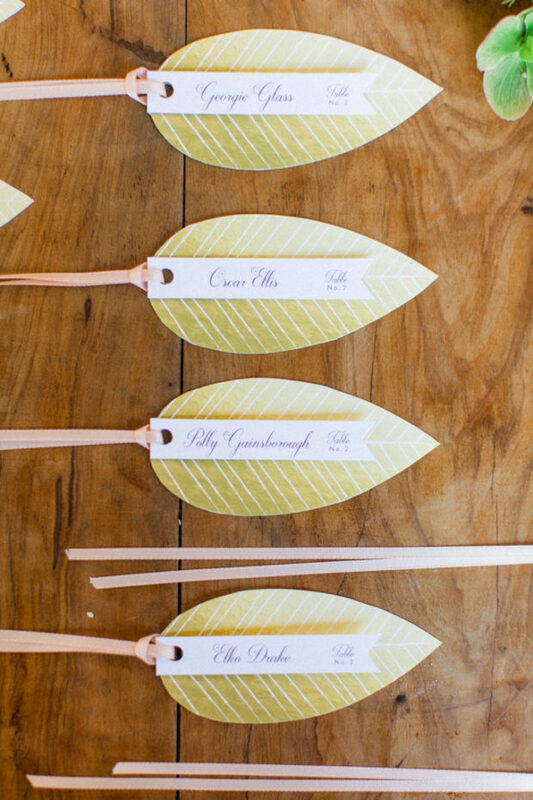 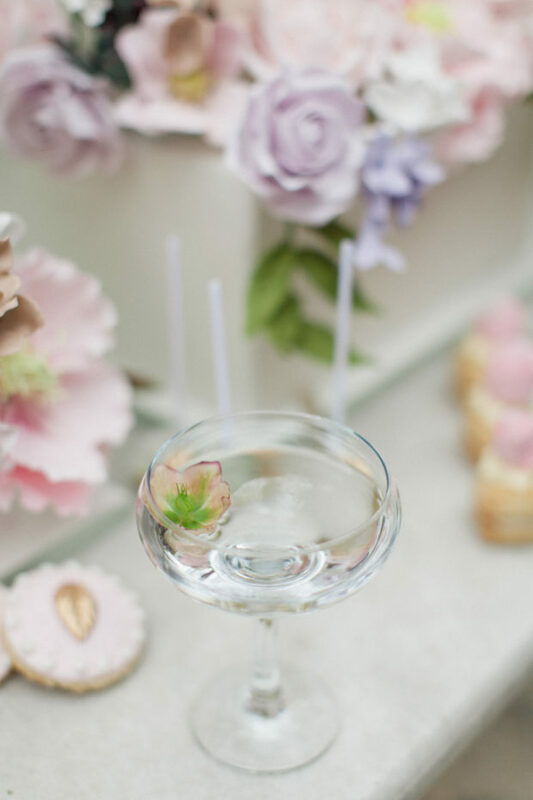 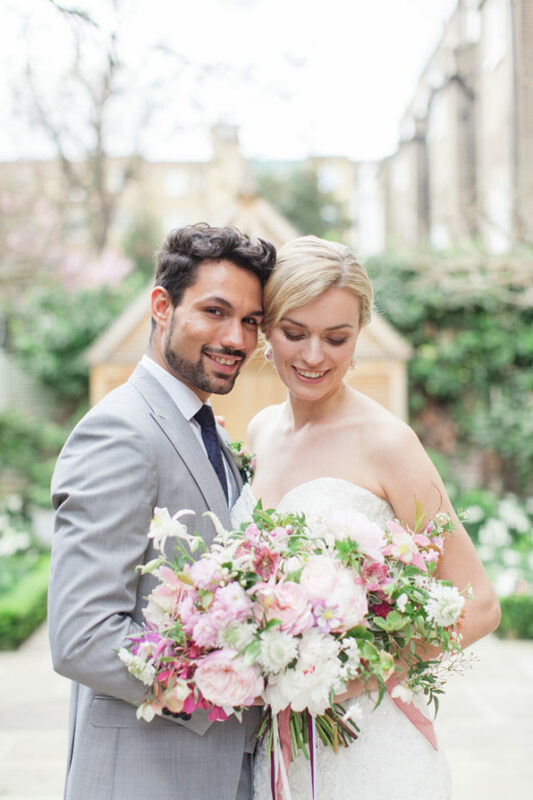 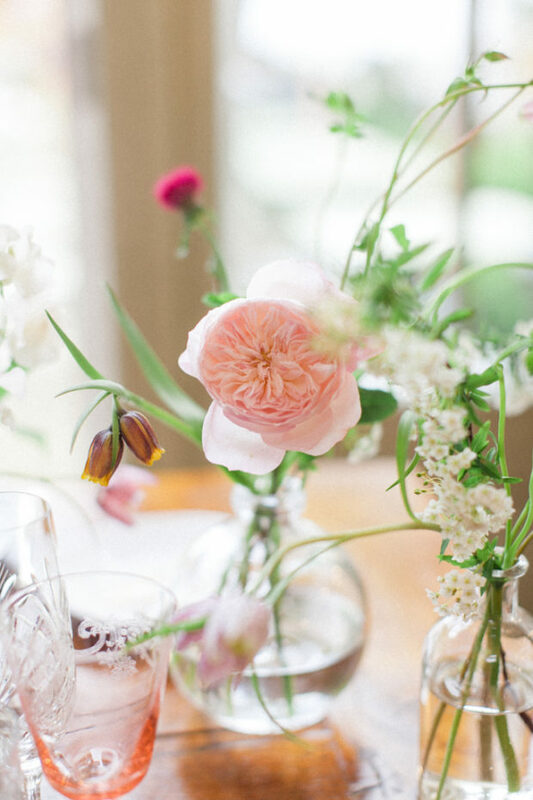 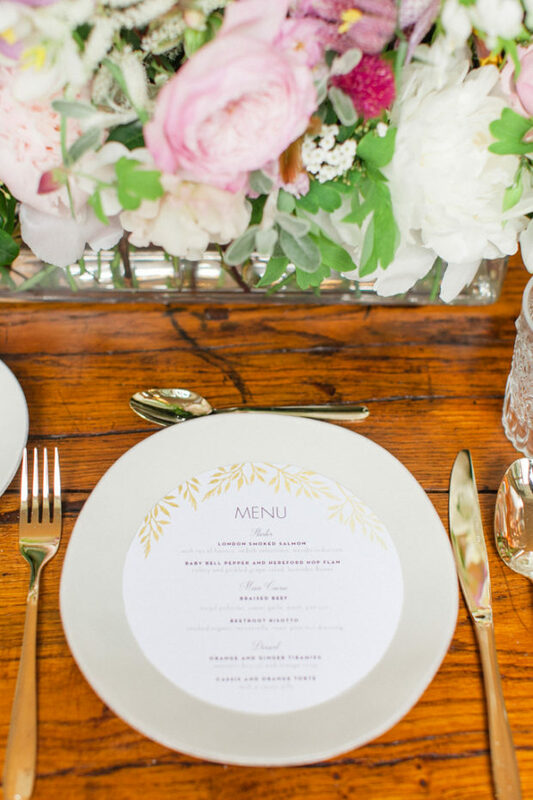 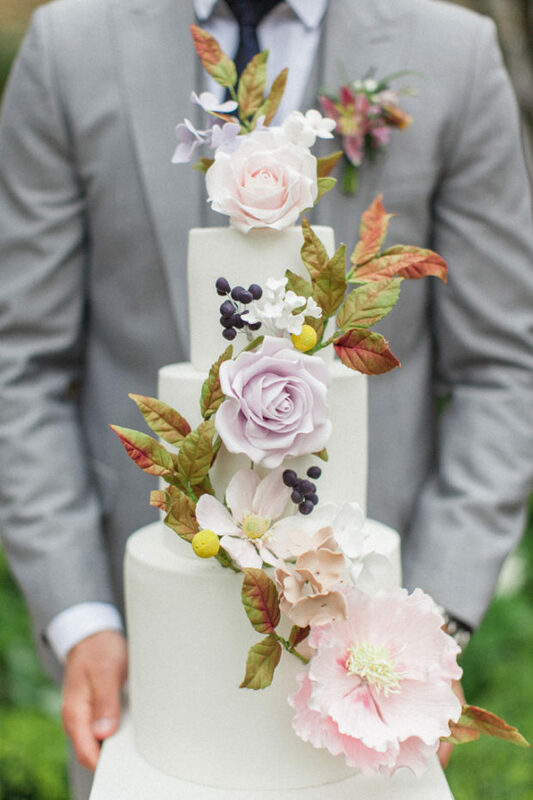 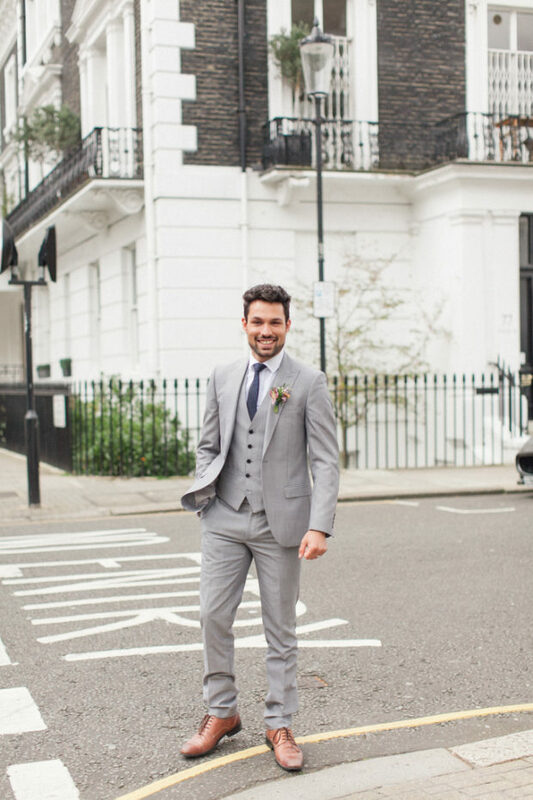 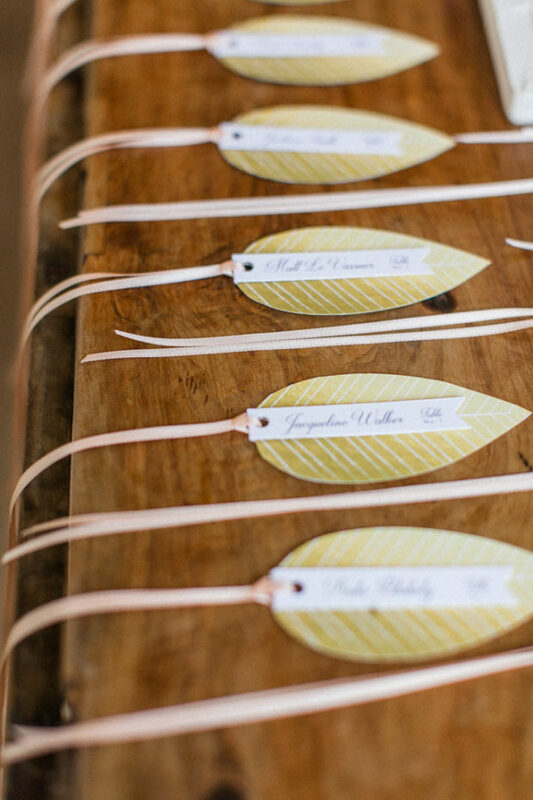 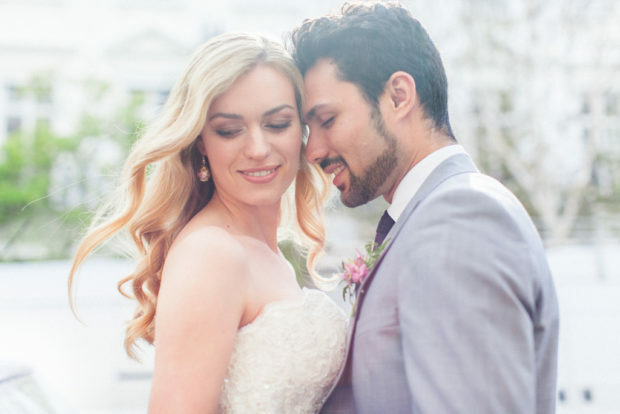 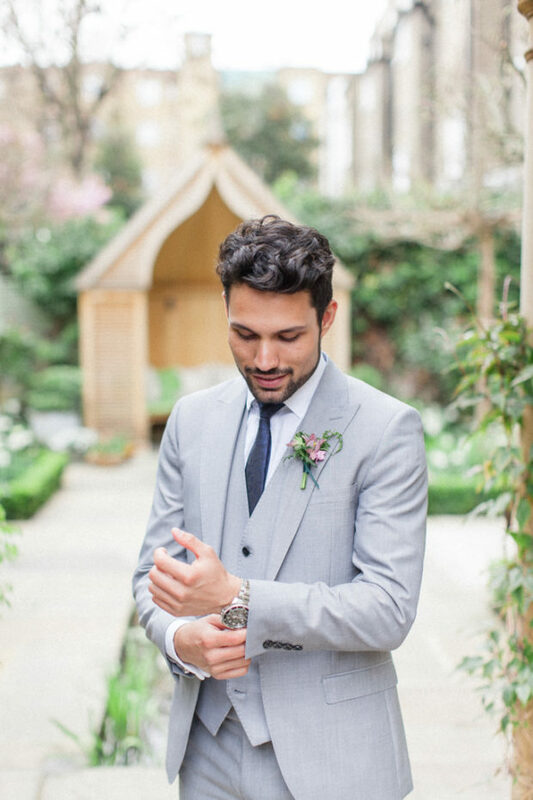 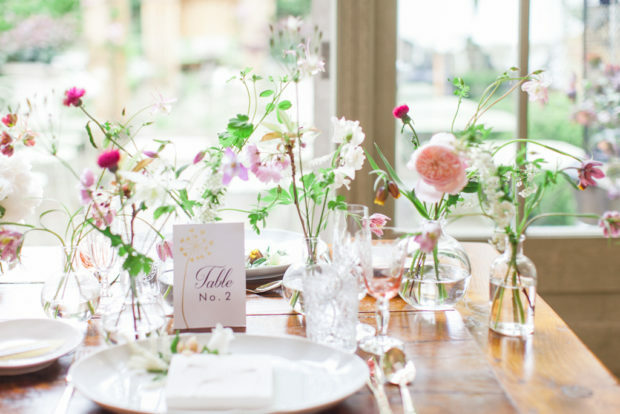 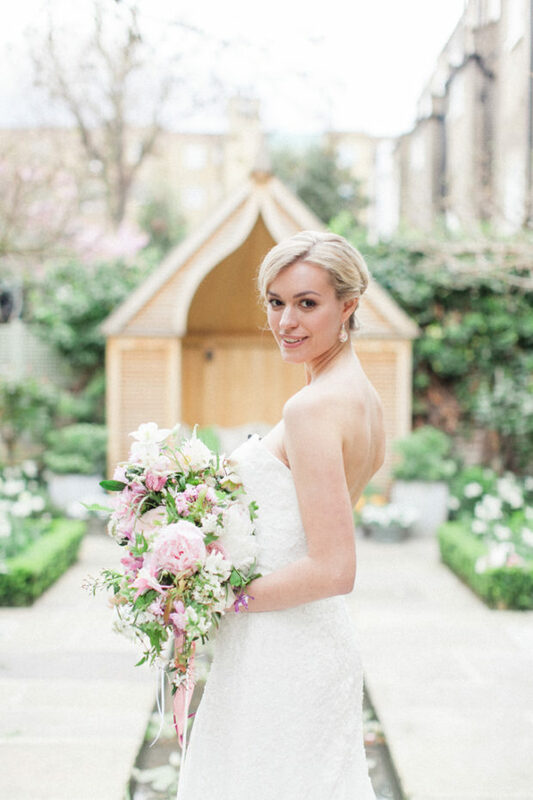 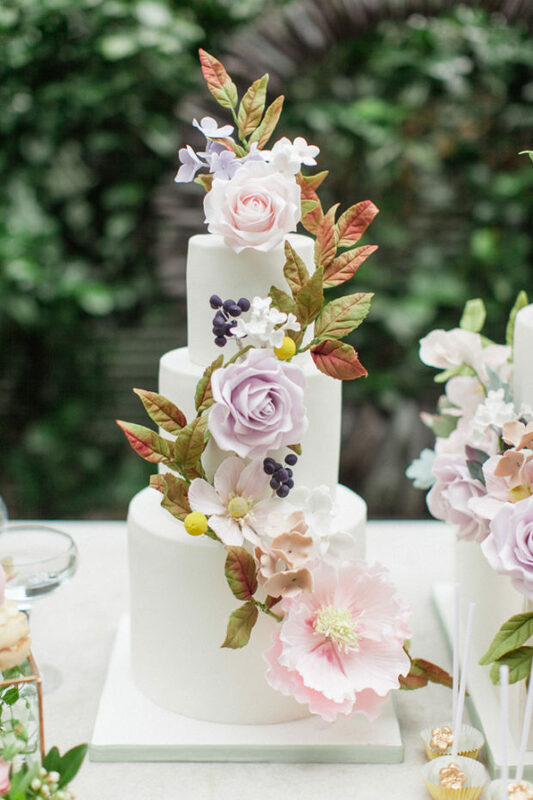 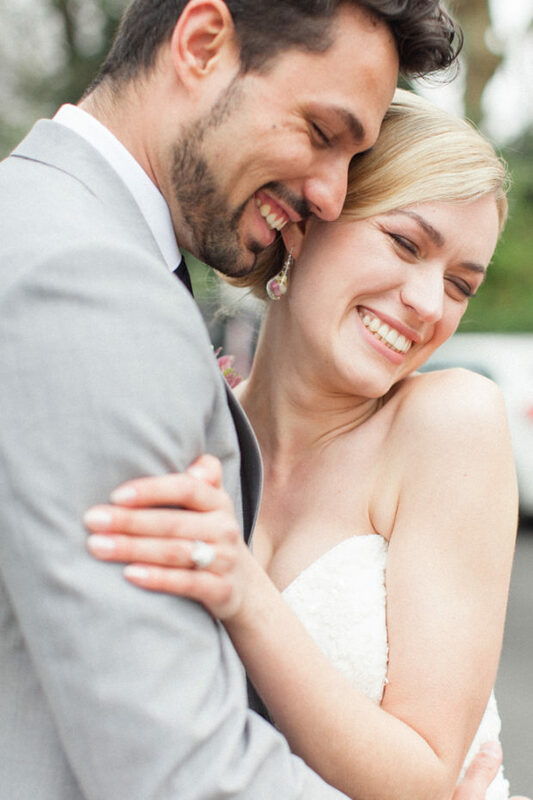 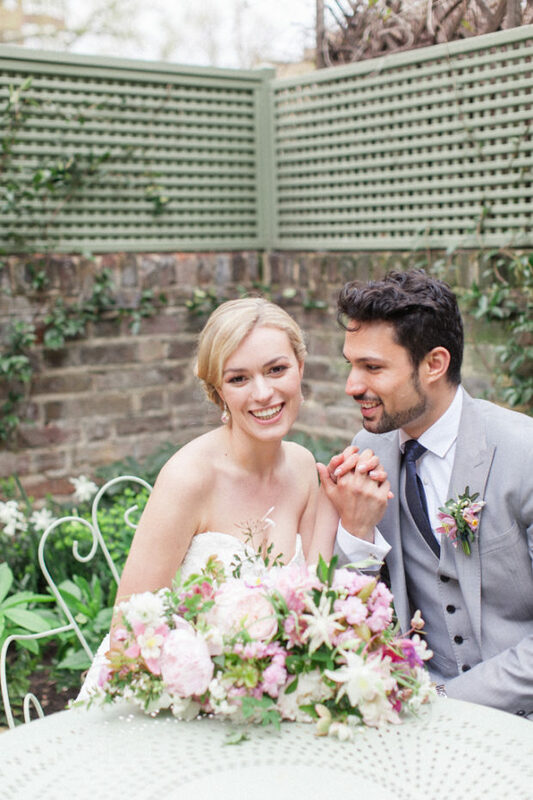 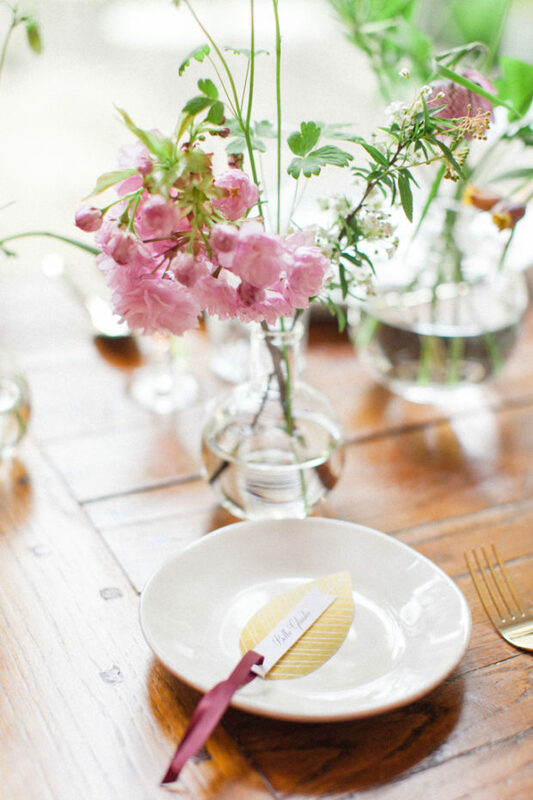 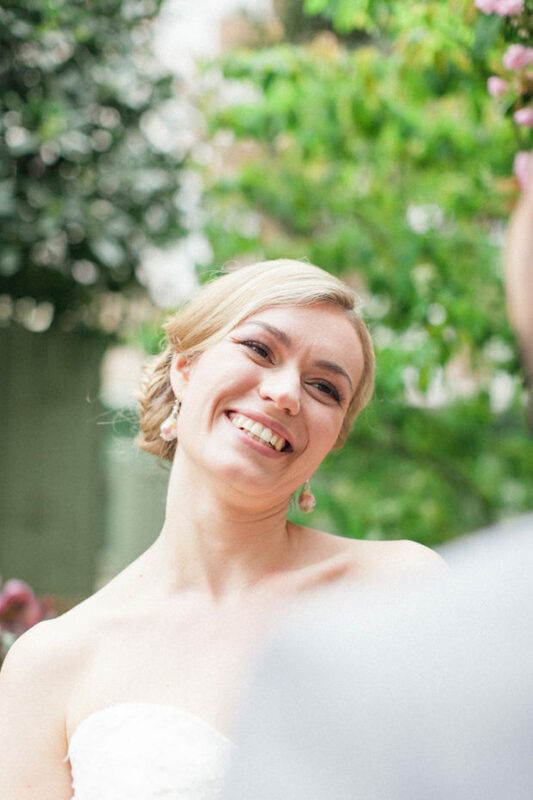 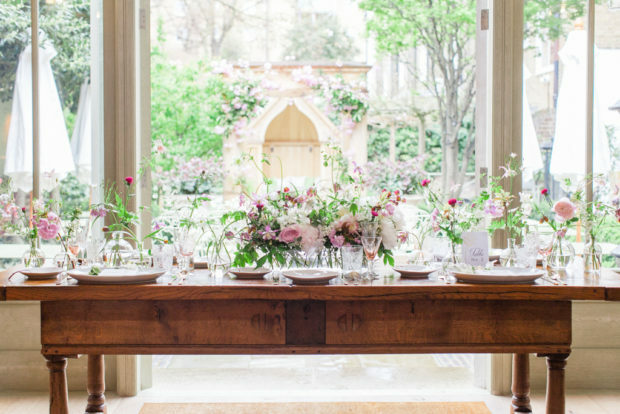 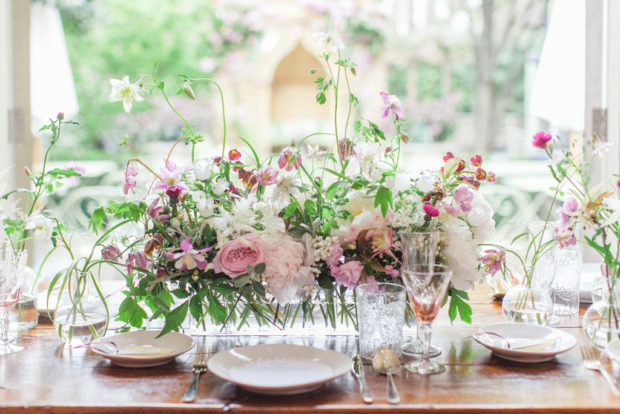 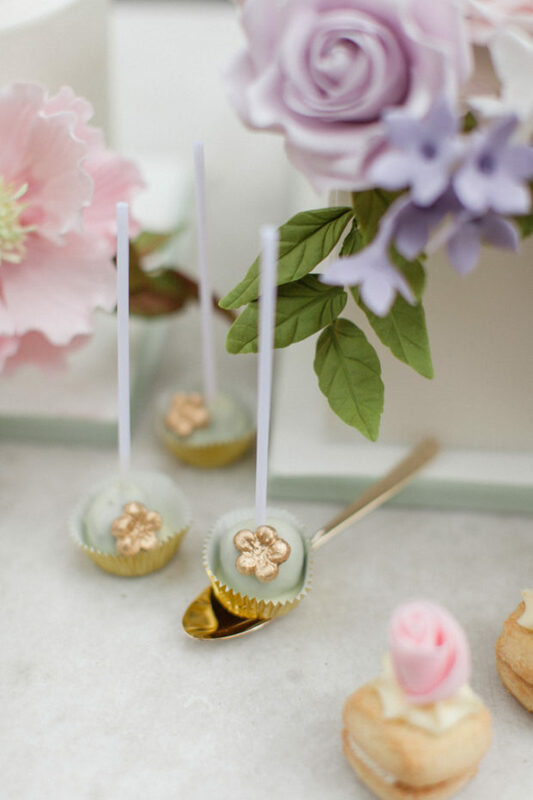 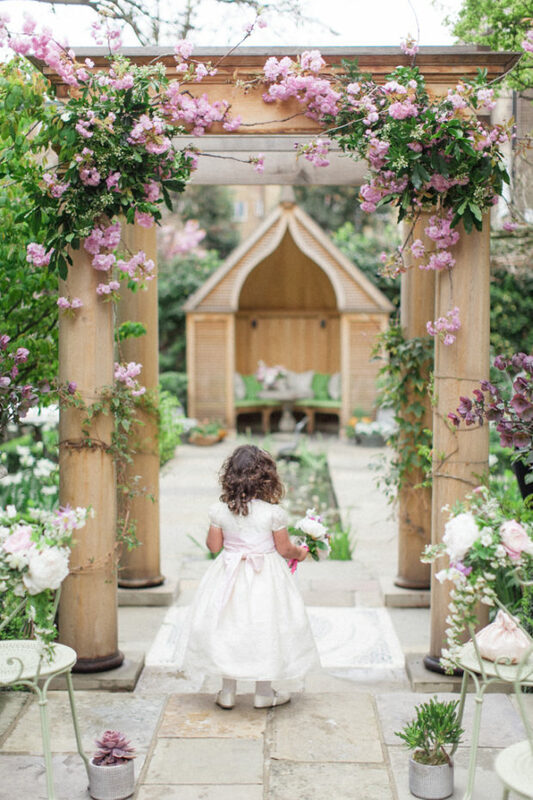 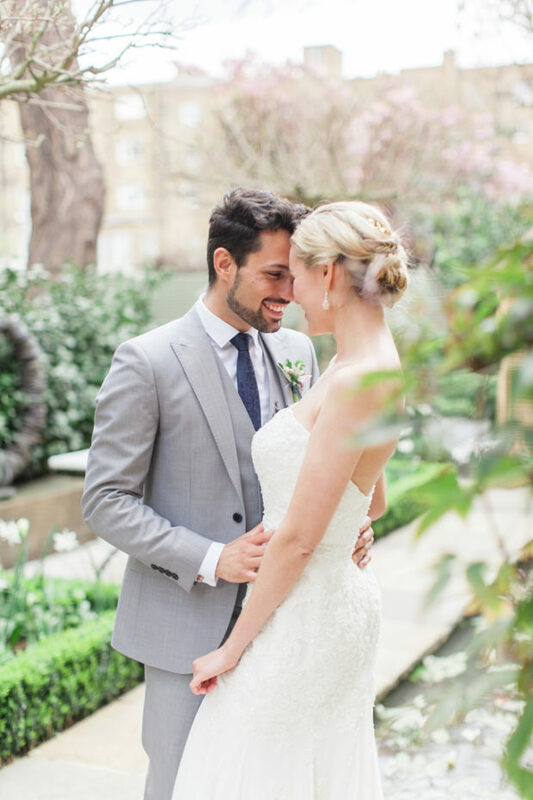 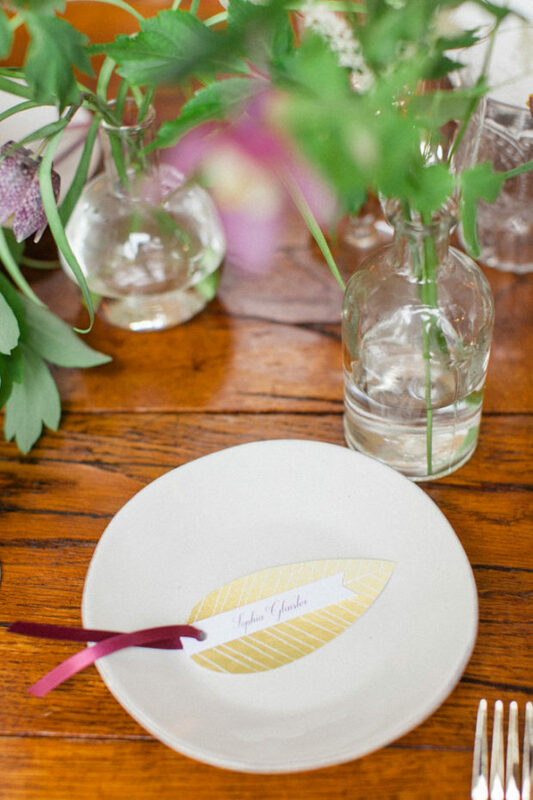 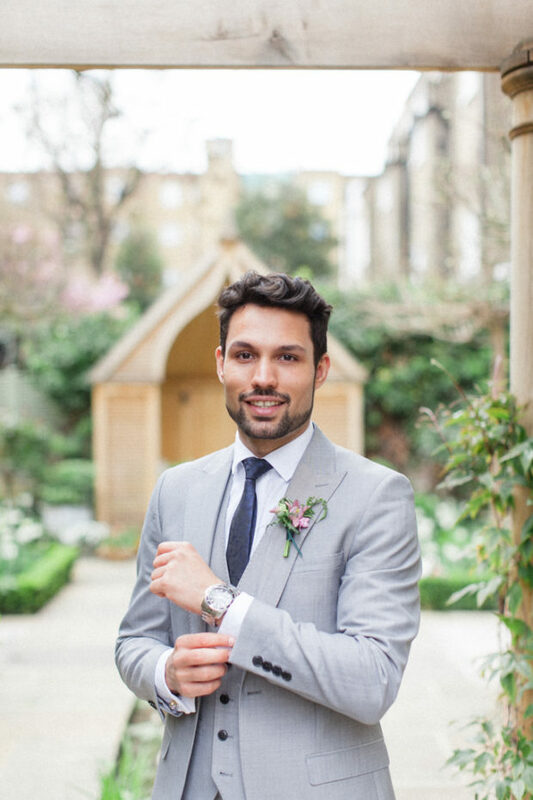 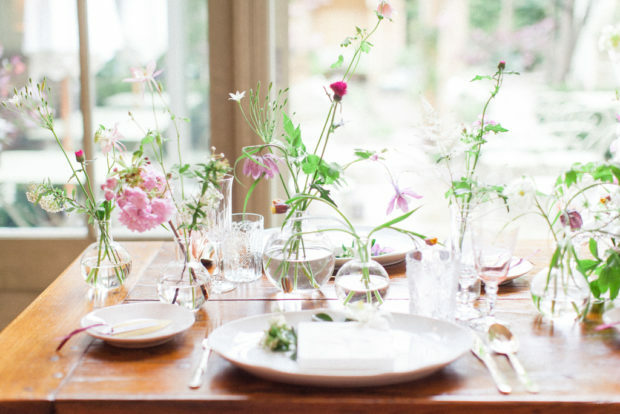 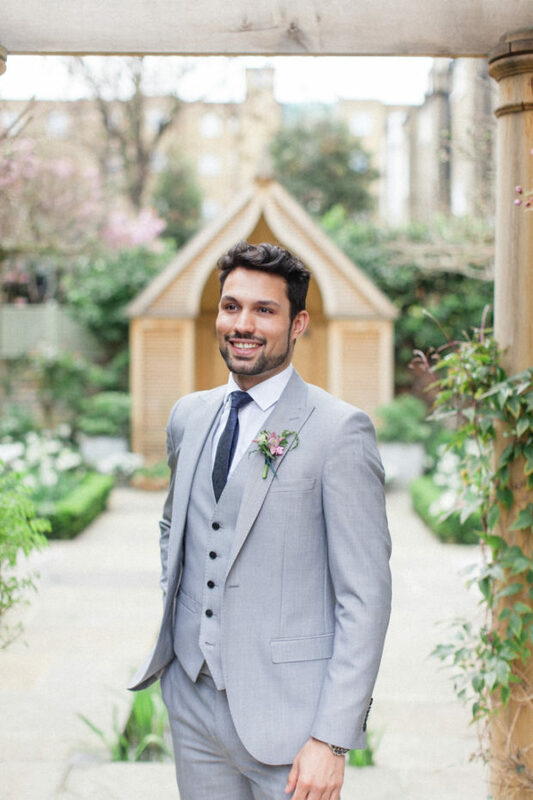 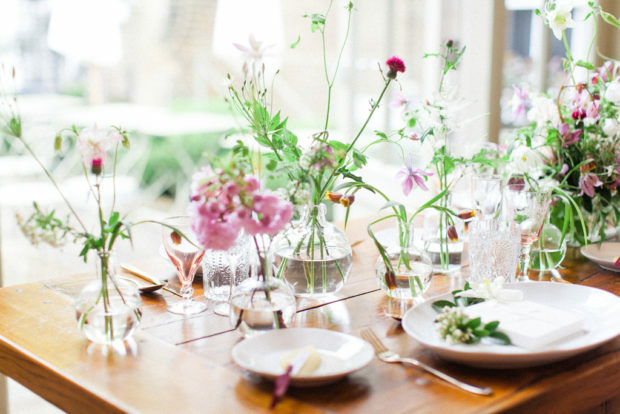 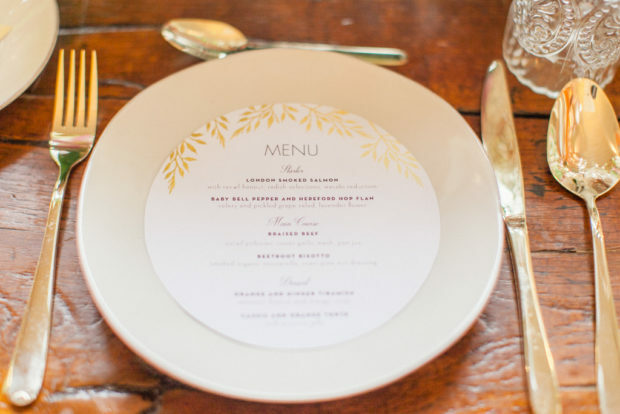 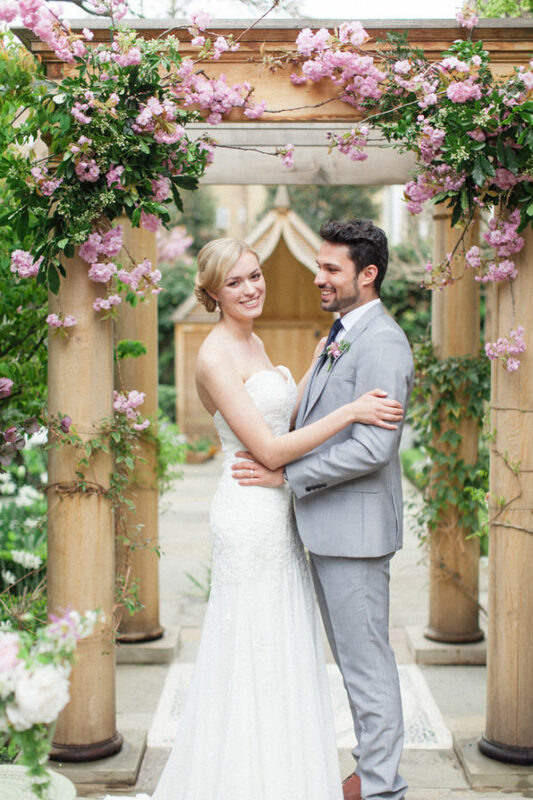 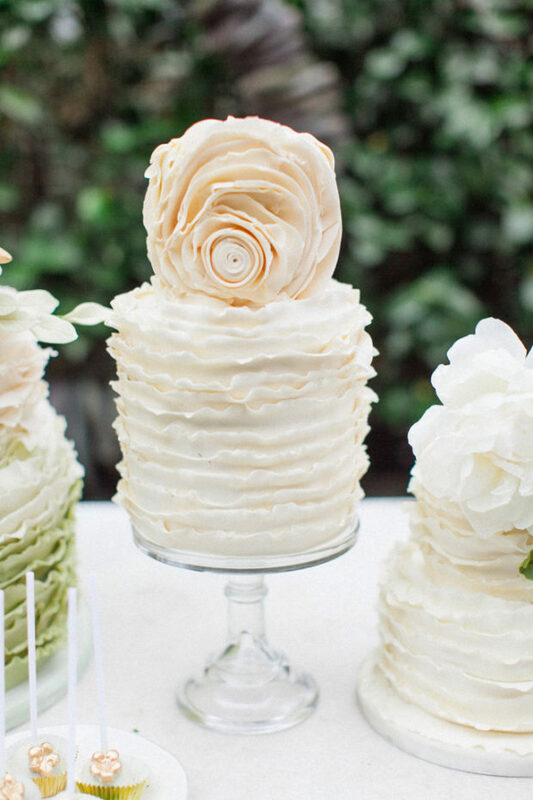 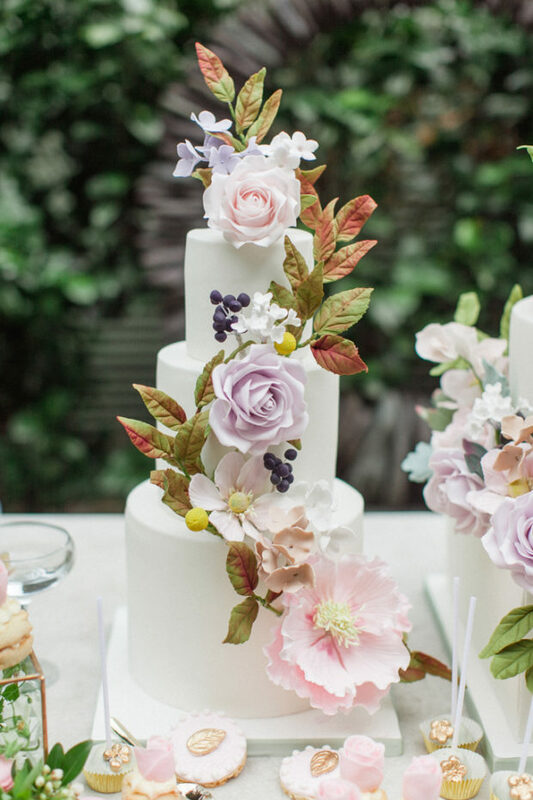 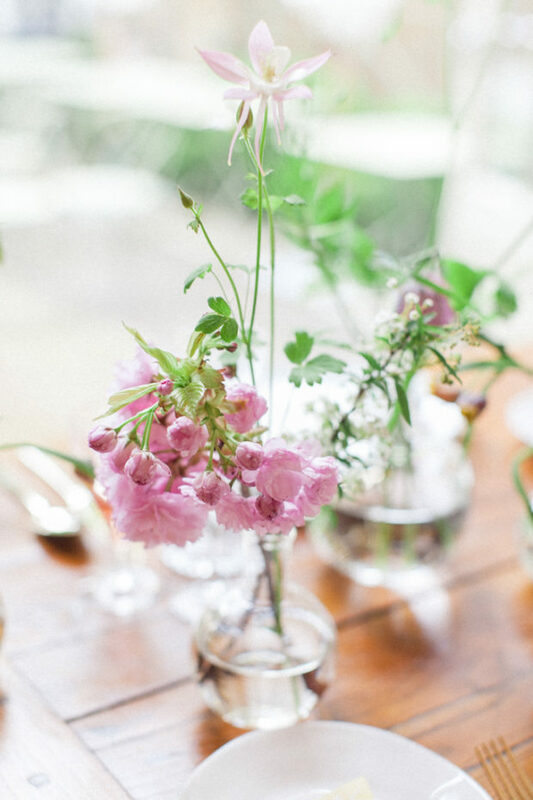 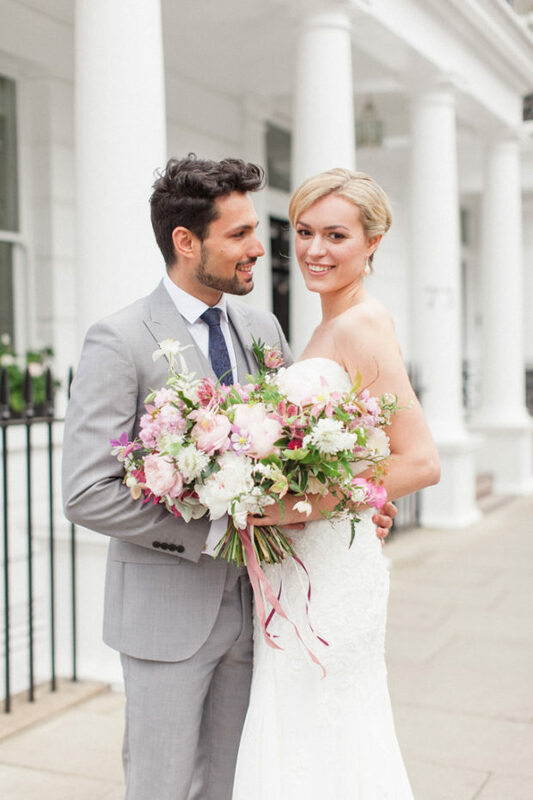 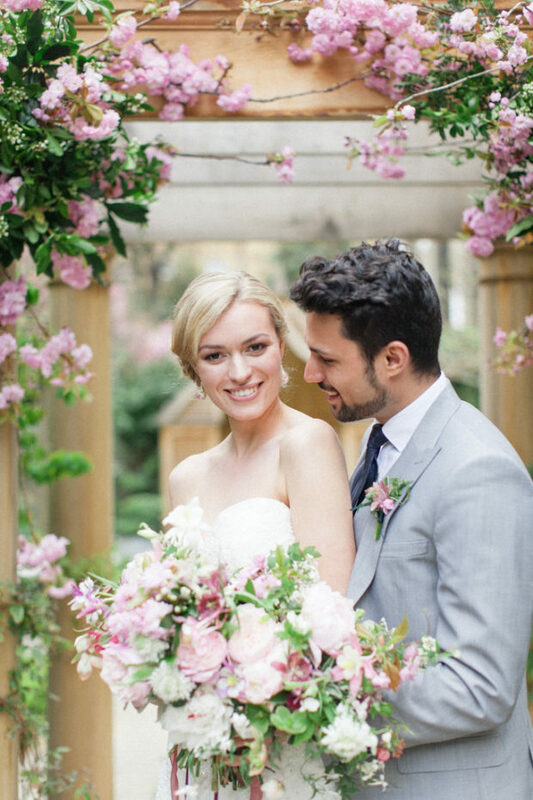 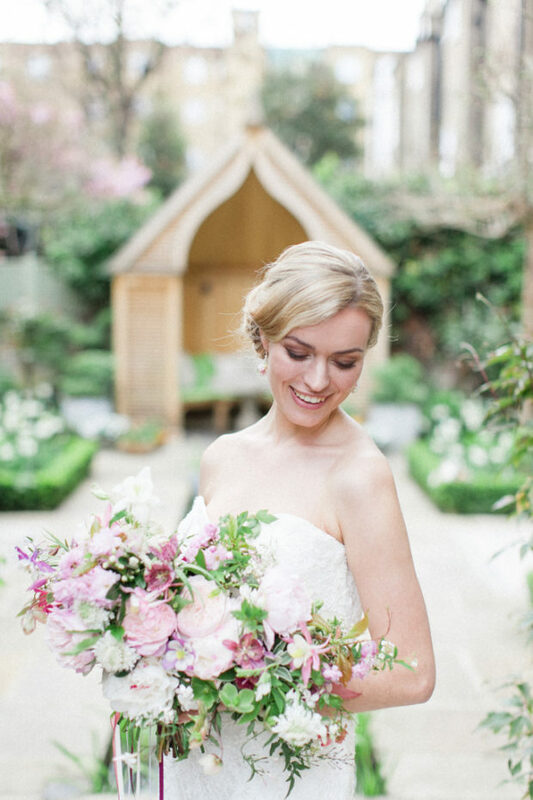 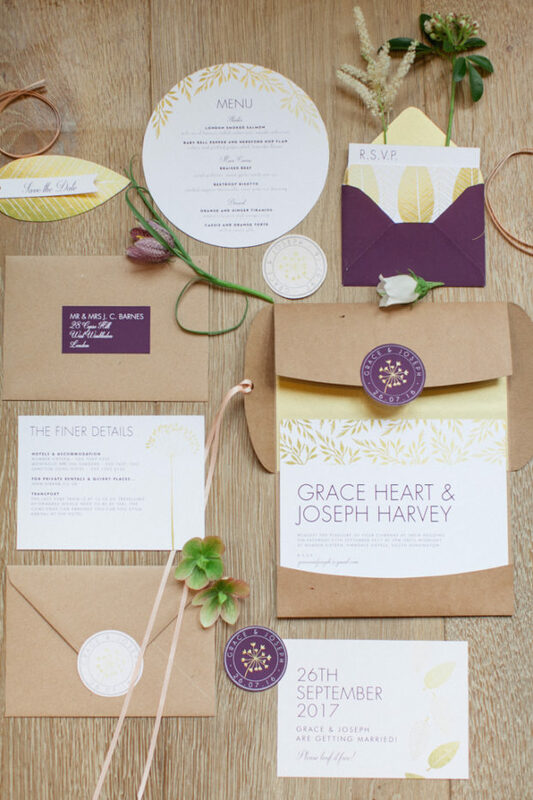 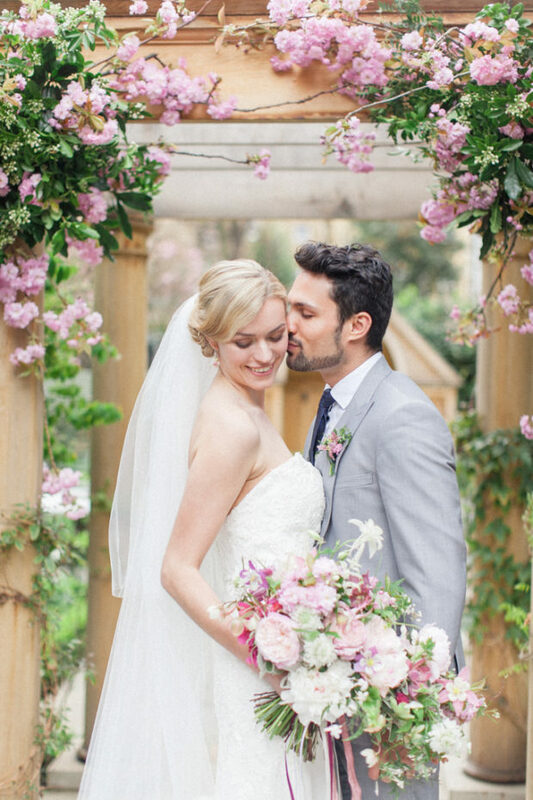 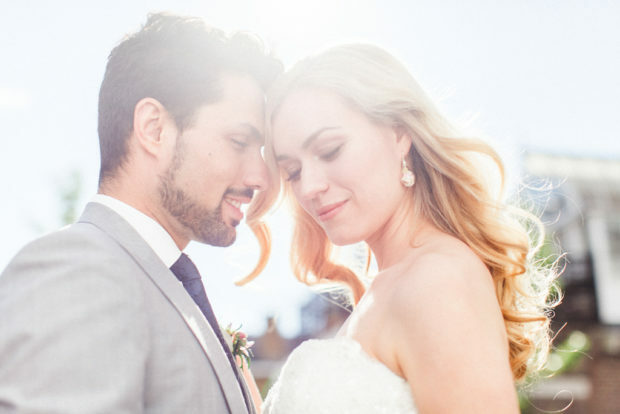 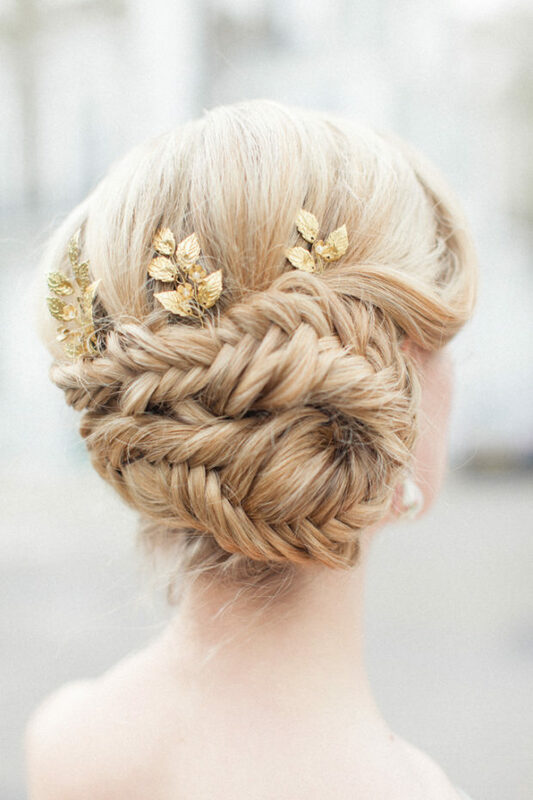 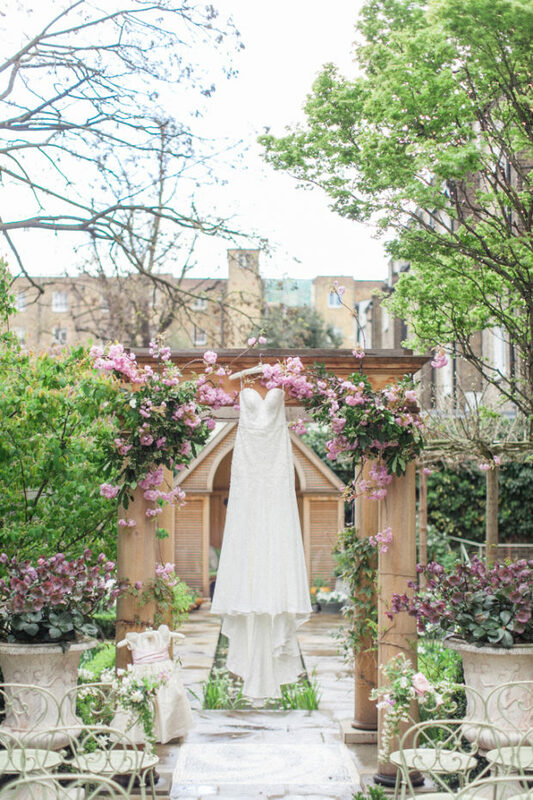 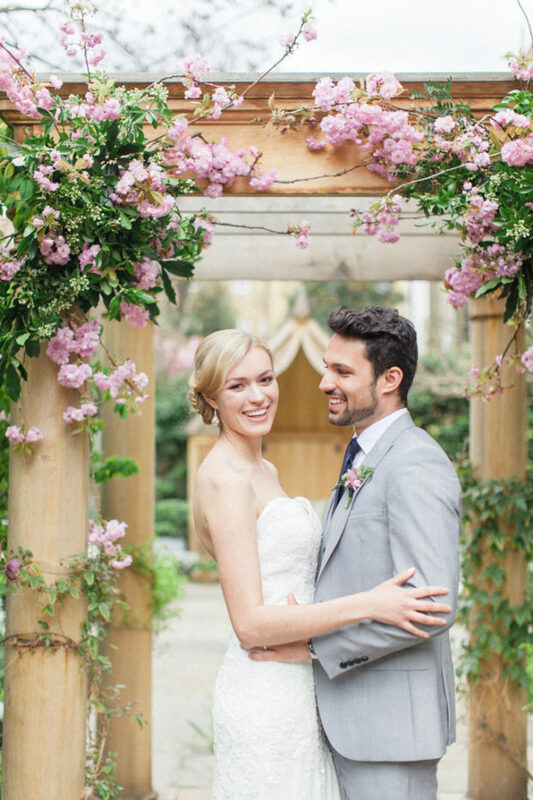 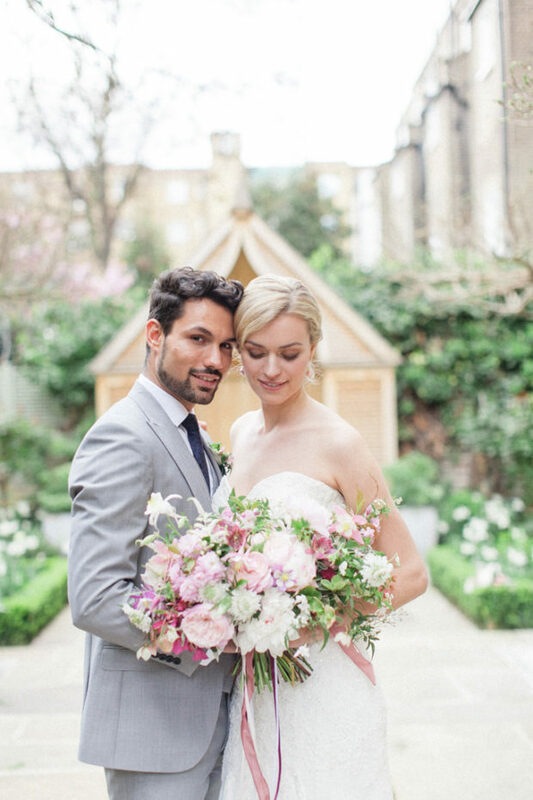 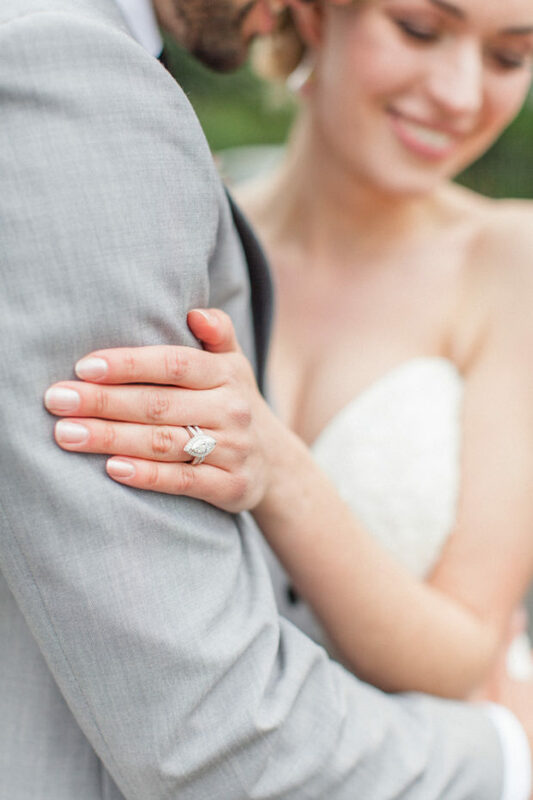 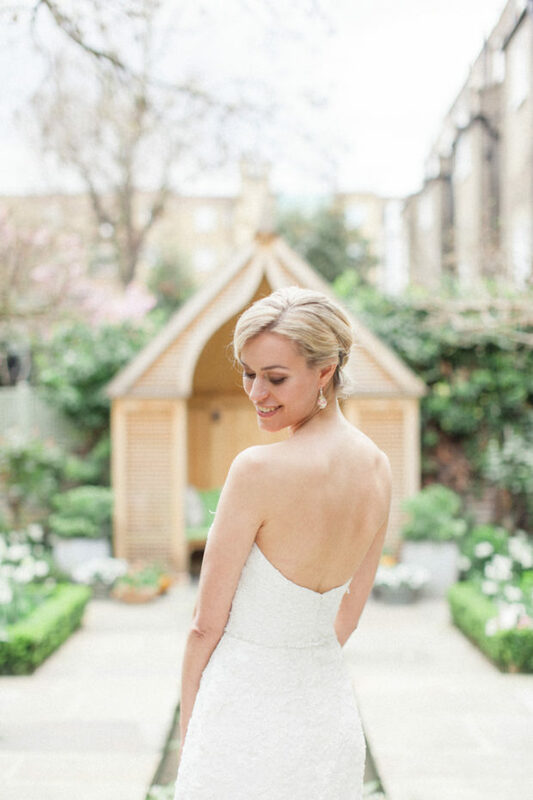 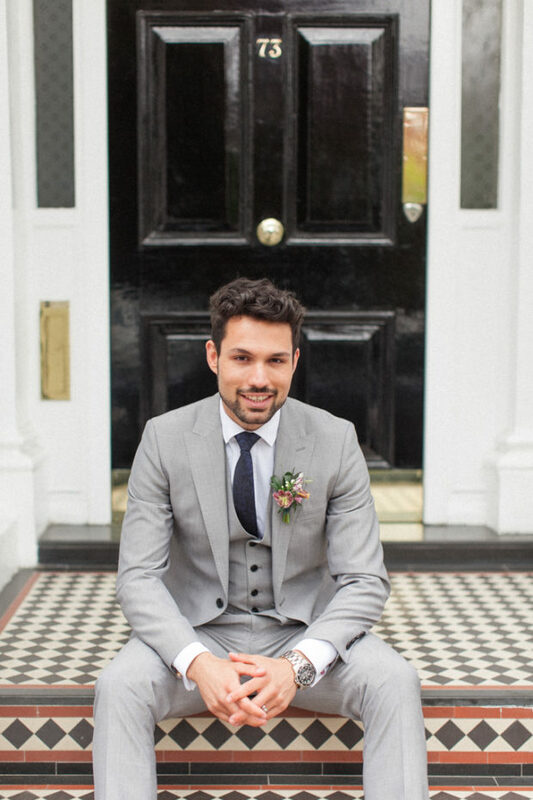 This London wedding photographer couldn’t have asked for a more sublime shoot! 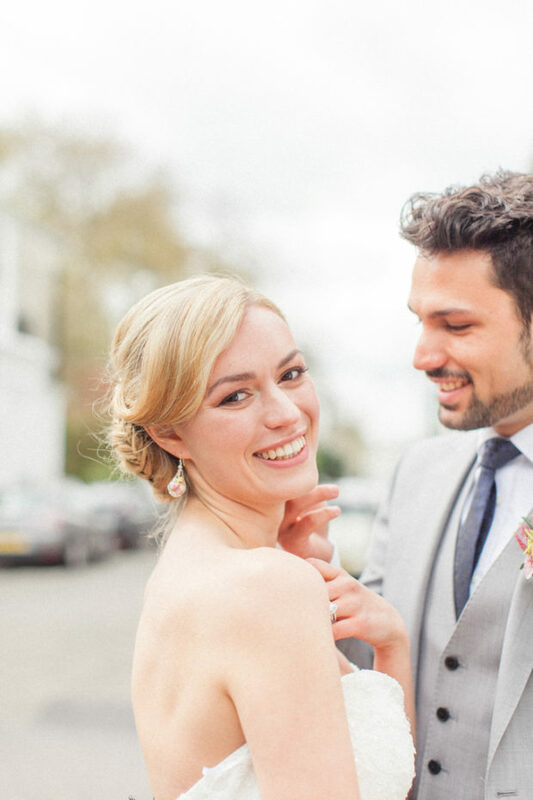 We shot two looks for our radiant bride. 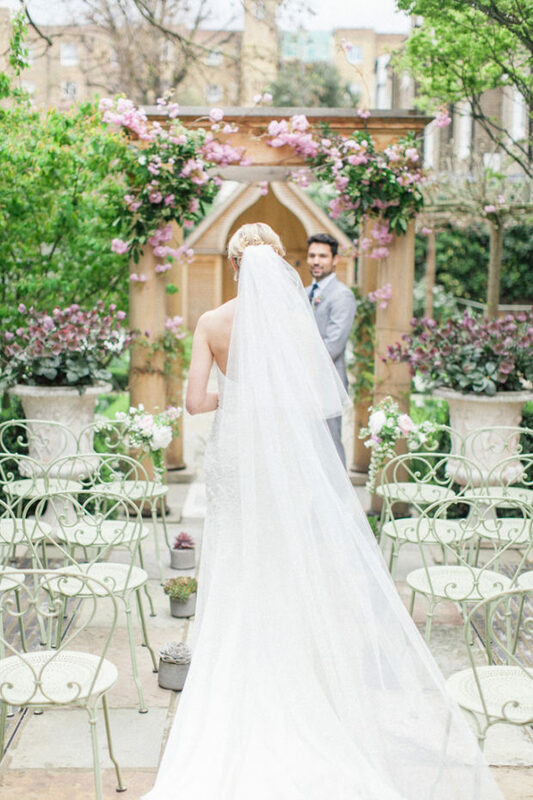 The ceremony look included a cathedral veil from Federica Bruno Couture and a long elegant dress whilst the second look was more relaxed, including a short, feminine and playful skirt by Ellis Bridals. 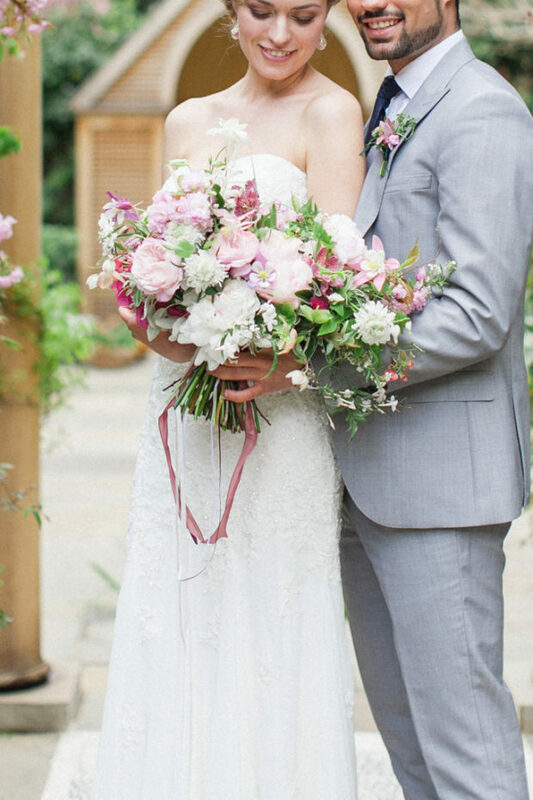 Shoes by Emmy London and a diamond marquise ring from Feu Diamonds finished our bride to perfection. 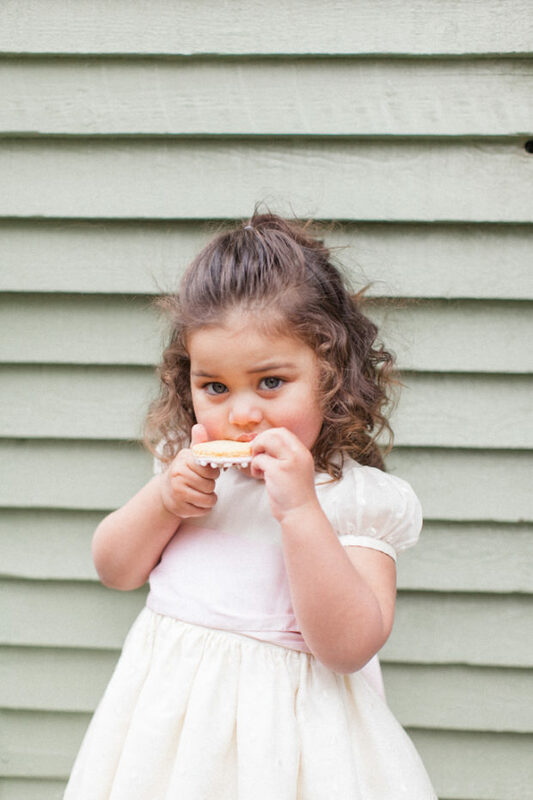 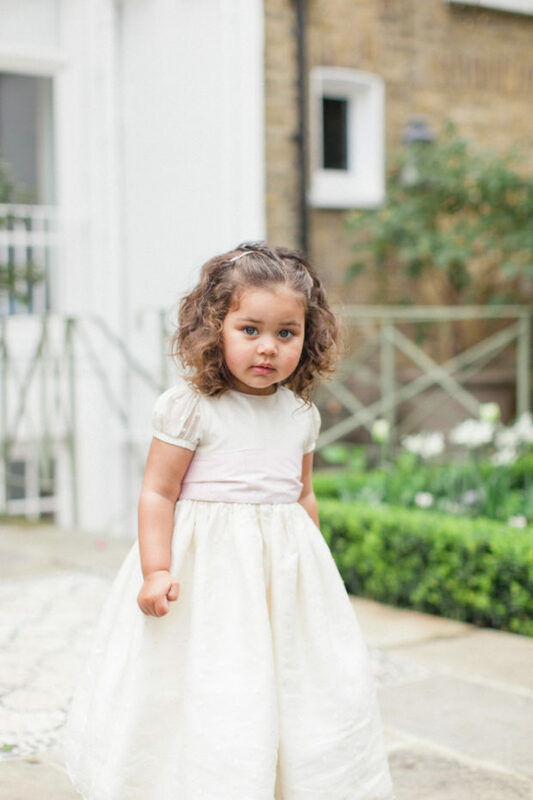 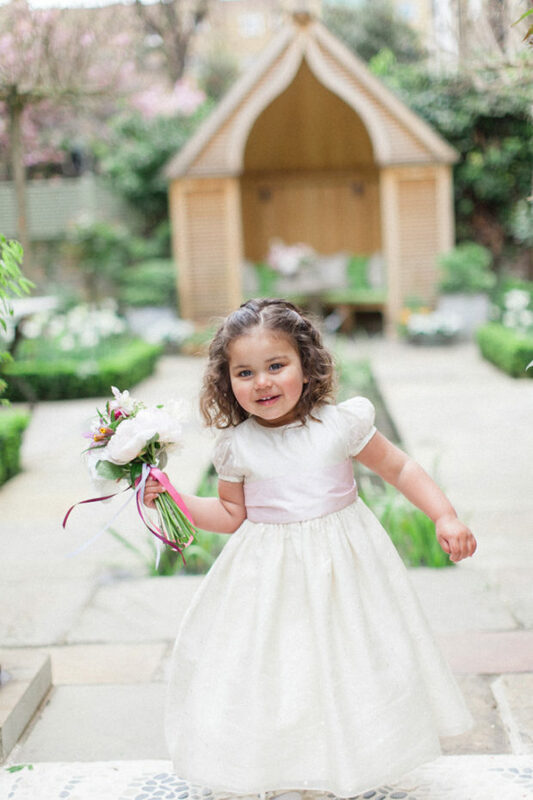 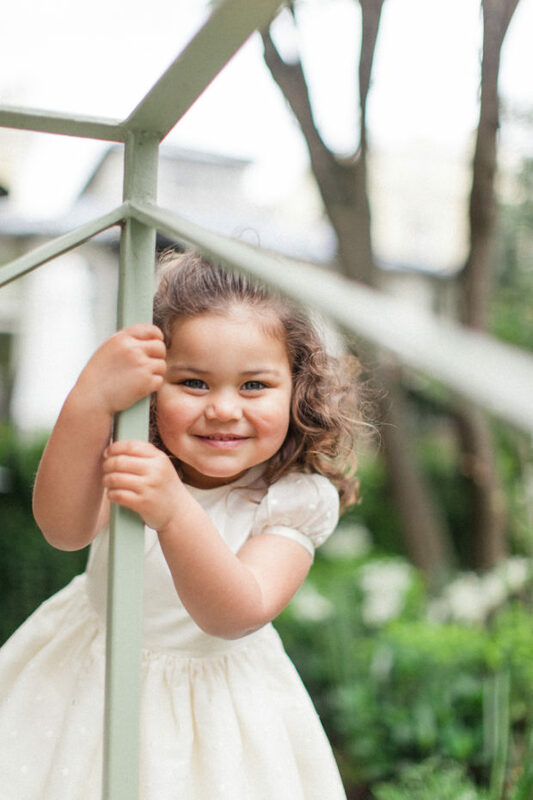 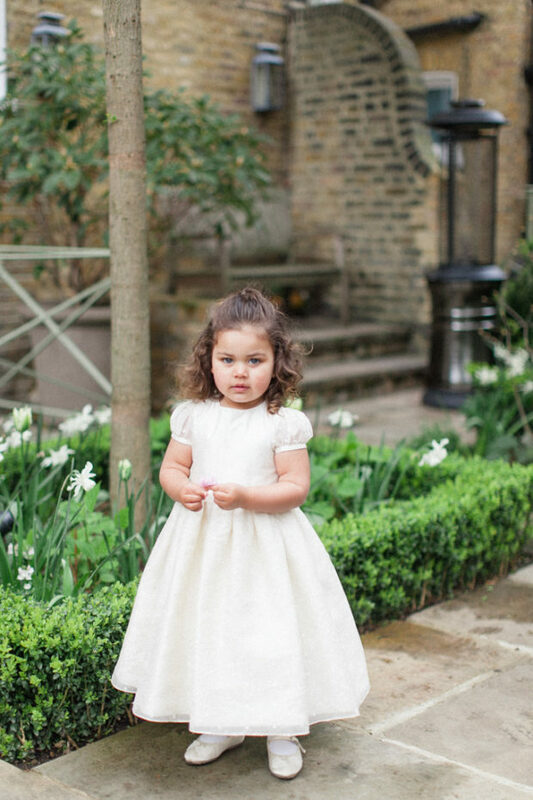 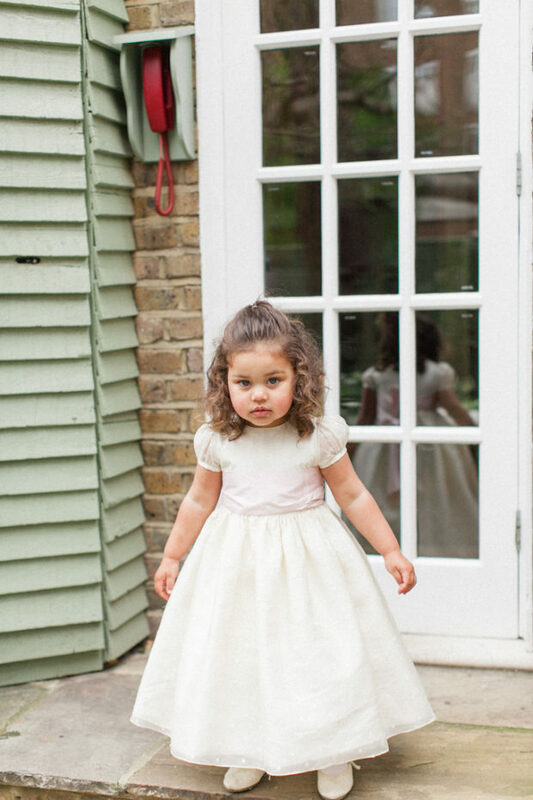 I also have to mention our little flower girl who was pretty as a picture in a dress by Little Bevan. 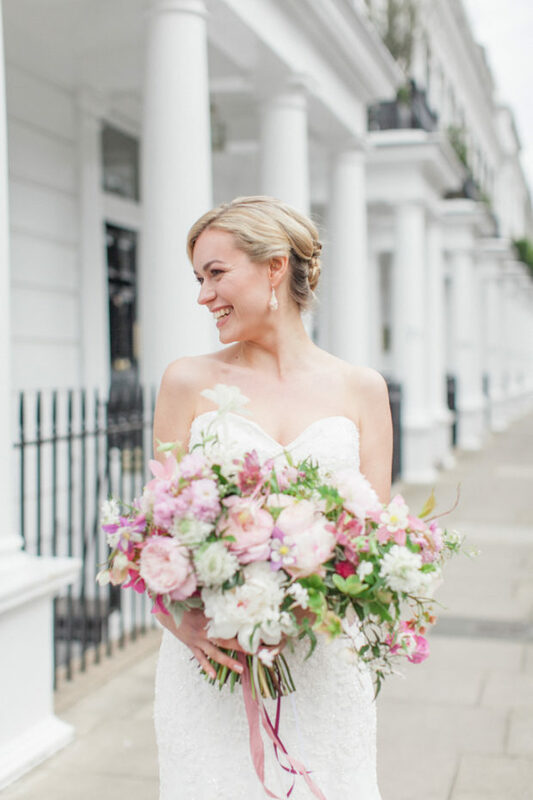 Thank you so much to Anna from Snowdrops Weddings & Events and the entire team who worked on this beauteous and botanical London wedding inspiration shoot. 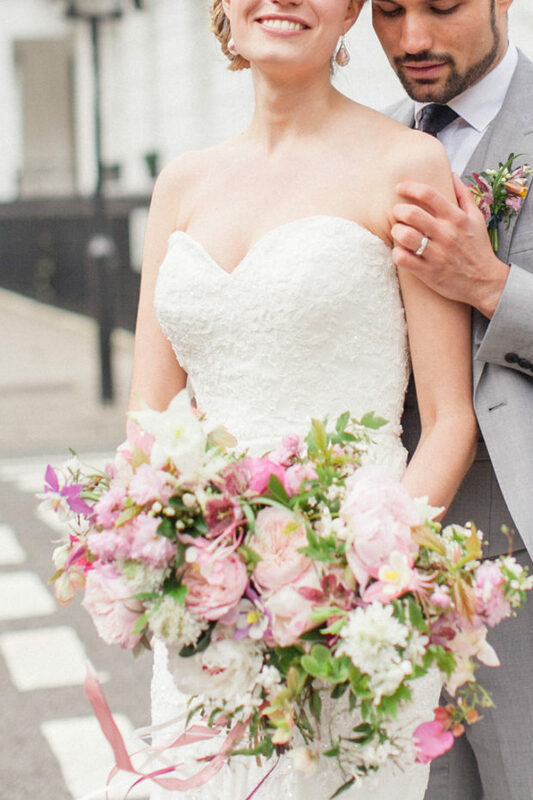 This floral theme stole my heart. 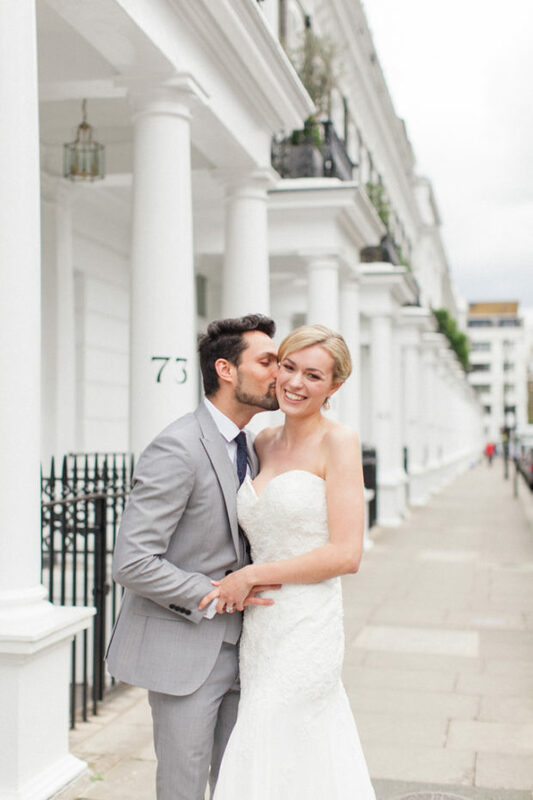 I love to photograph London weddings and as a London wedding photographer, I know the capital inside out. 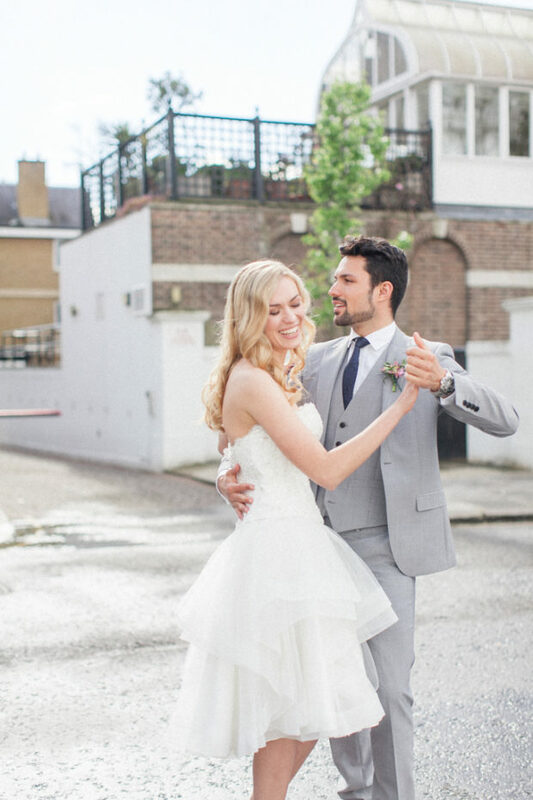 I’d love to help you as you plan your wedding in London and I’d be thrilled to be your London wedding photographer. 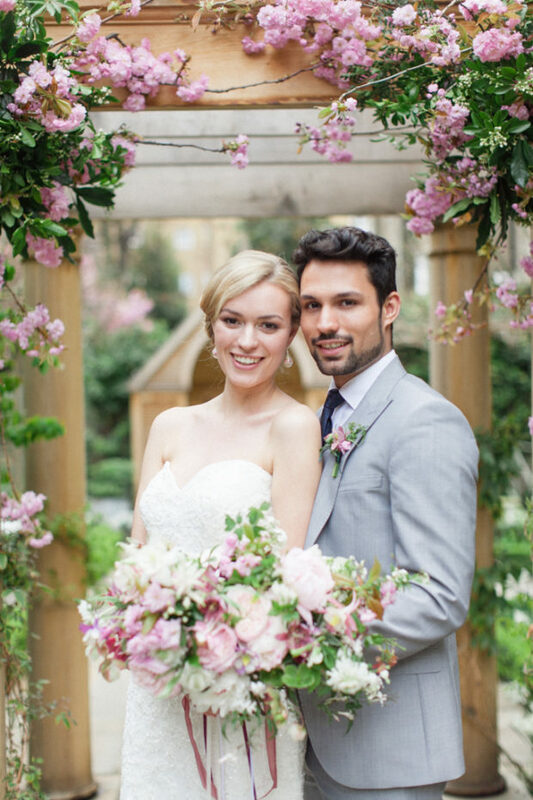 For more information on my London wedding photography, do take a look at my wedding photography website. 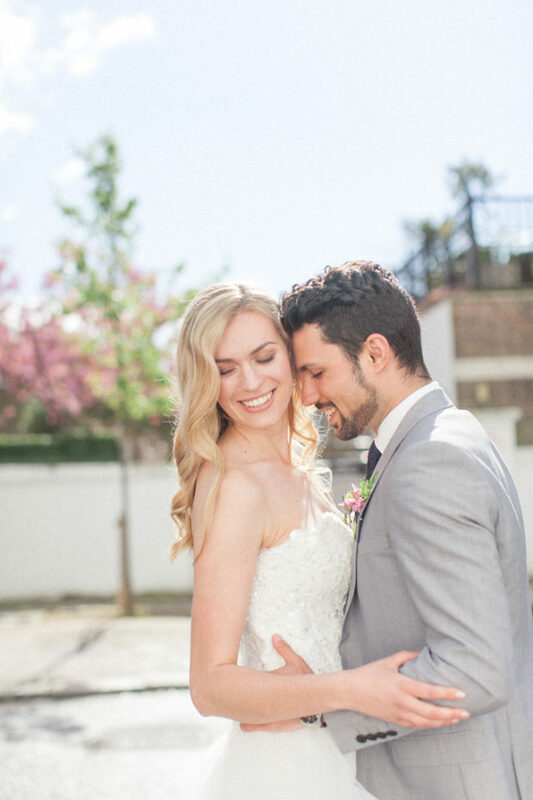 If you’re marrying overseas, you’ll also find my destination wedding photography services here too. 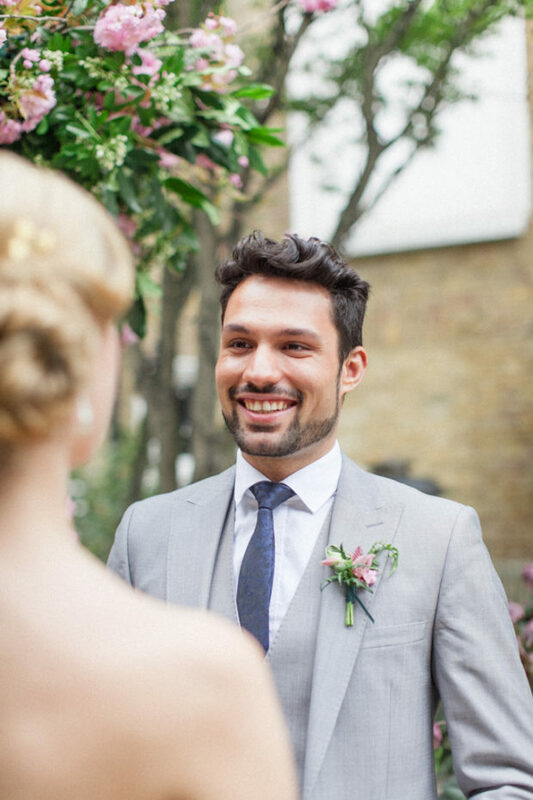 You can also take a look at my wedding photography gallery right here.